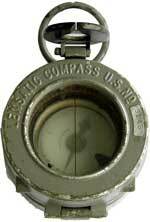 Lensatic compass used by the U.S. Army. 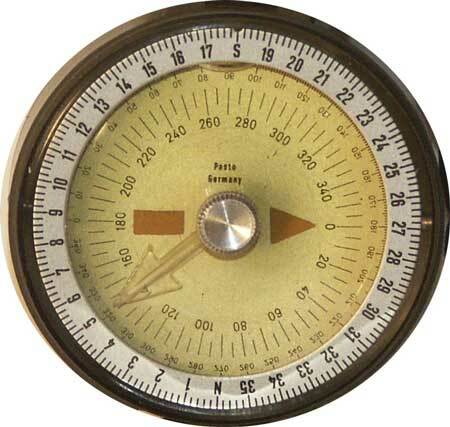 This designation applies to a compass system with several designs. 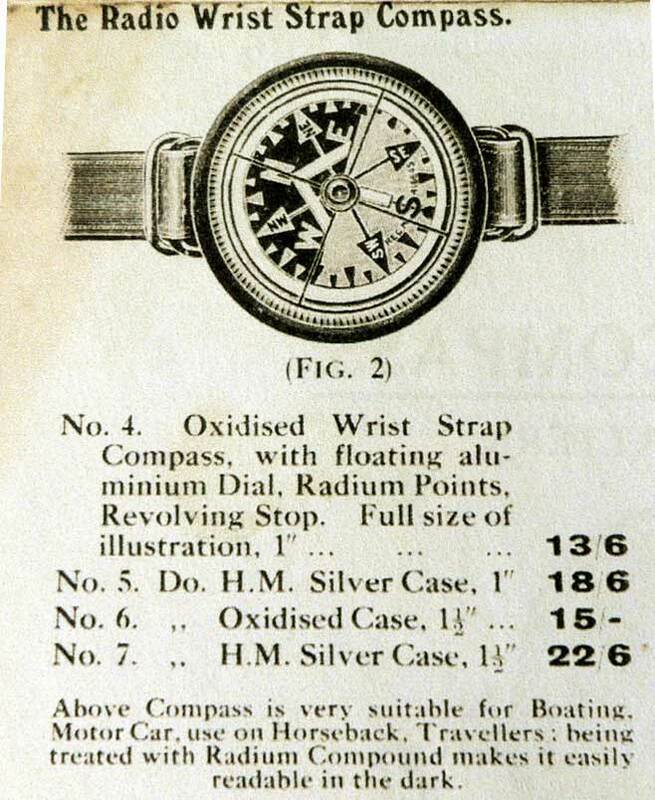 The original and quite heavy version described here was based on the design of the DOLLOND compass described in a 1926 F. BARKER & Son's catalogue. 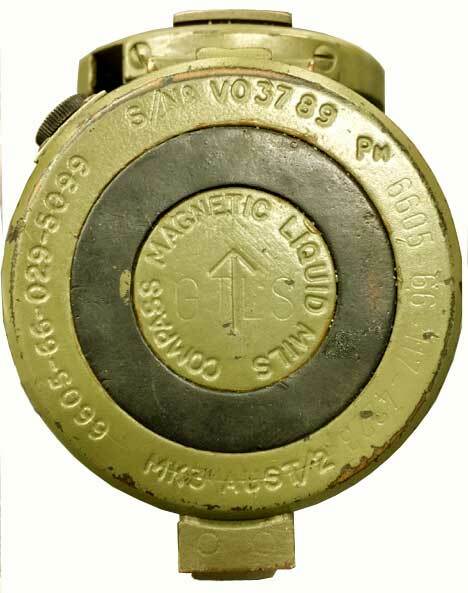 It was issued to very few units and replaced during WW2 by a light-weight version (see Superior Magneto and Gurley). 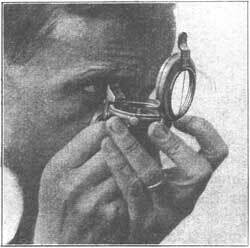 It was superseded by the model M-1950 built by many companies (list: see Lensatic) and still in use today. 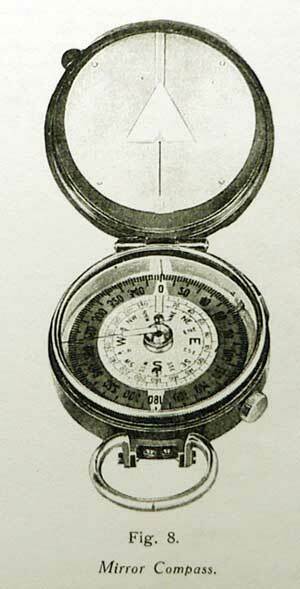 For training purposes, the Army used a fold-out guide with a dummy compass. Manufacturer: some items are signed AINSWORTH. 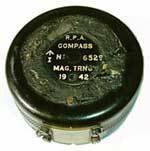 MAGNAPOLE was the designation of some hand-held marching compasses designed and sold by SHORT & MASON Ltd solely and of pocket compasses in cooperation with TAYLOR. PROFILE - The meaning of the abbreviation 'MAG. TRNG.' is not obvious. 'Magnetic Training' doesn't really make sense. 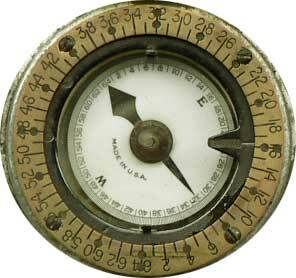 Low tech military compass made in India when it was part of the British Empire. The original model (designed and built in 1942) was officially modernised a first time 2 years later (Mk II, 1944). At some unknown later moment the remaining items were transformed again. You can see here the three different versions. Above: The crystal was secured by means of a wire feather. 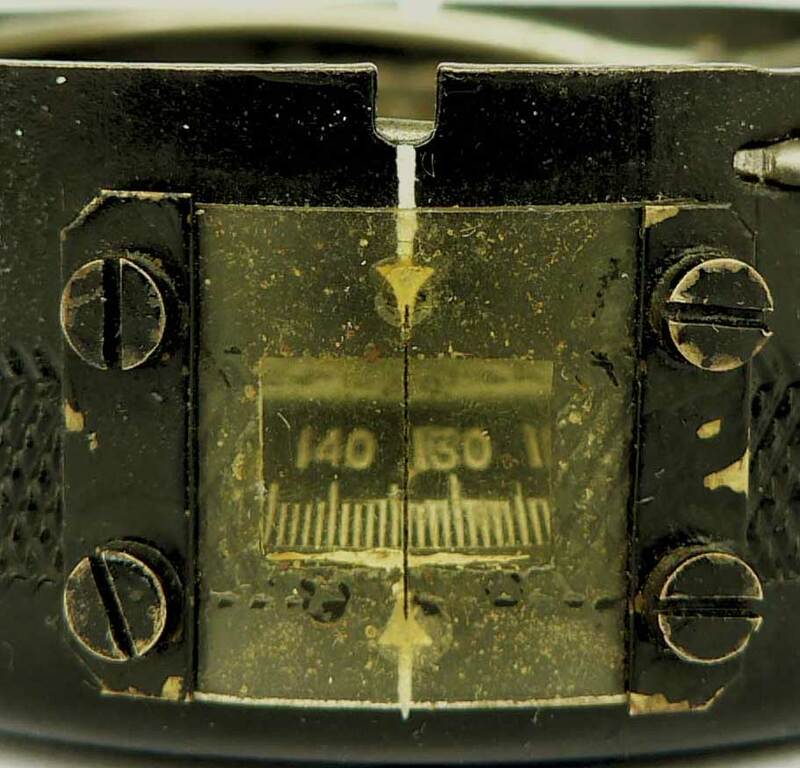 The chapter ring was flat and could be rotated by hand by means of two tabs located at 90 (E) and 270 (W) deg. .
Below: View of the card's divisions through the side window. At each end of the vertical black line is a small arrowhead of radium paint. 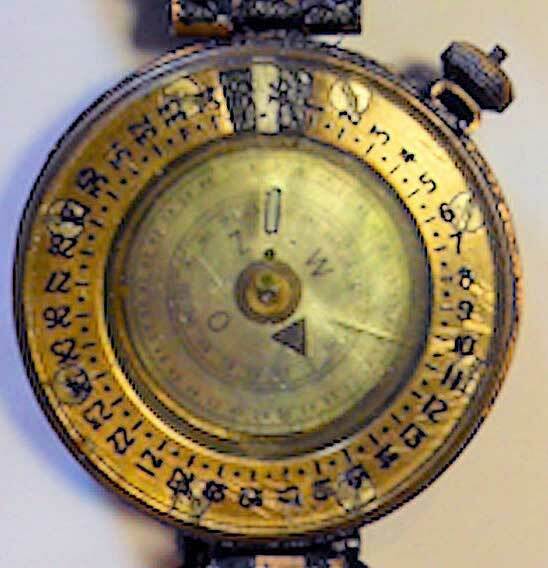 There were additional radium paint markings on the bezel inner rim (at 360 degrees) and on the black lubber line engraved on the plexiglass disk, between the two notches of the casing's rim. 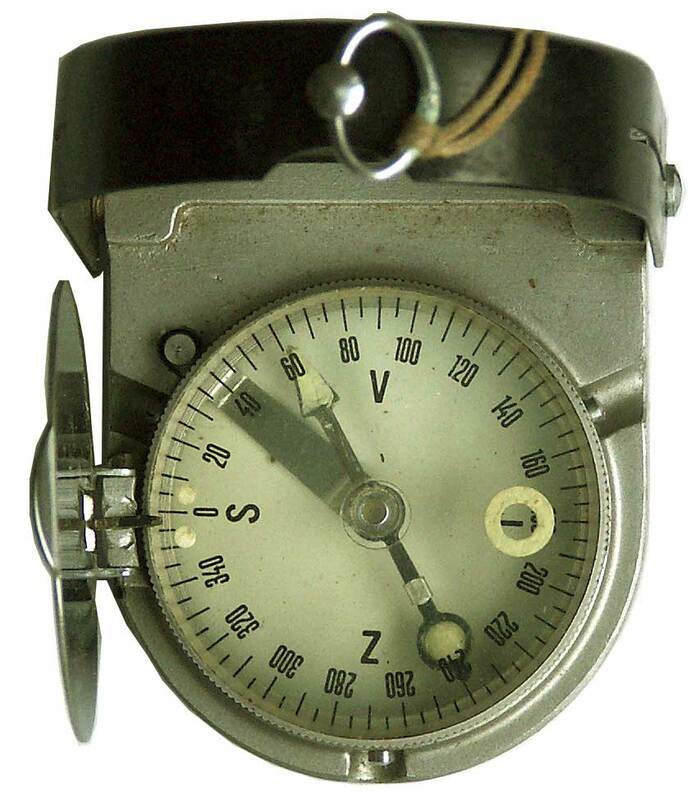 On the Mk II model, the securing wire was replaced by a tight-fit ring and the lugs on the chapter ring were replaced by two bulges. On the compasses upgraded a second time, the card is now flat and the useless side window is blinded by a plate attached with four screws. 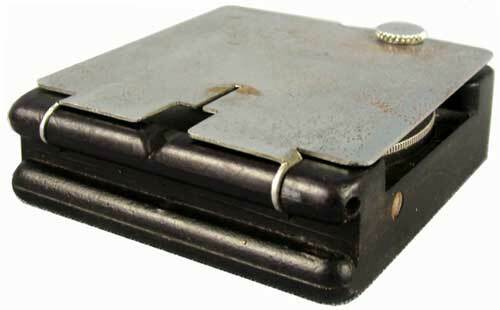 On the latest version, a flat chapter ring was placed upon the original one. 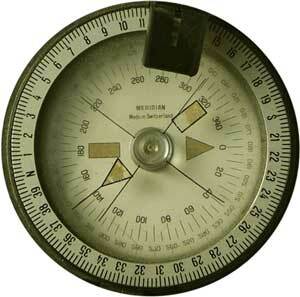 Since it couldn't rotate, this compass couldn't be used to set a marching course or to measure a bearing. 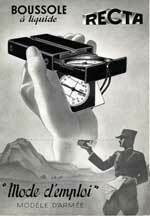 - The design date (1944) has no significance on these modernised versions. 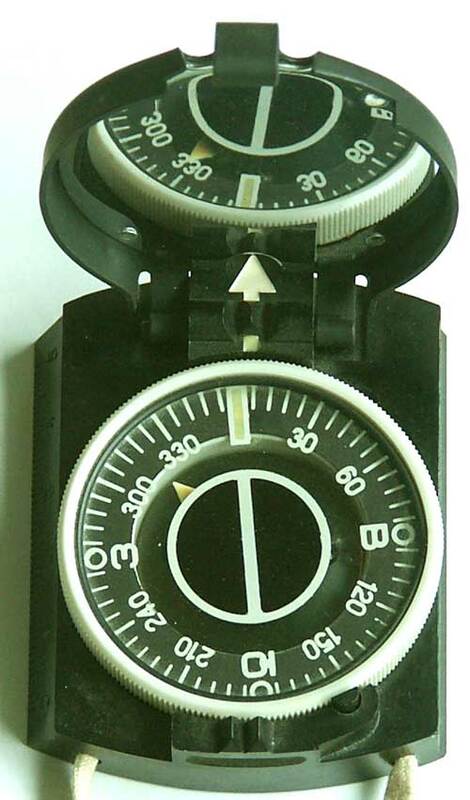 View inside the casing: the needle brake release is actuated by means of a push-button (visible on the right of the picture at left), a hinged lever and a blade spring. 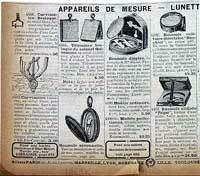 Short name of the company Manufacture d'Armes et de Cycles de Staint-Etienne which was the first French mail order retailer created in 1885. 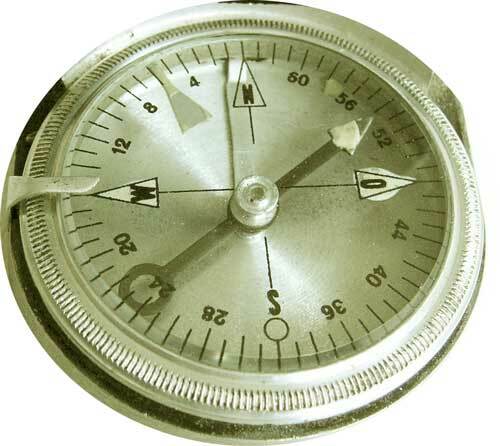 Some compasses feature a MF marking. The models shown are (among others) a boussole directrice, a Bézard, a Peigné, a Lemaire, a Souchier etc. Meiser & Mertig GmbH - Werkstätten für Präzisionsmechanik (located in Dresden Nr. 6, Kurfürstenstr. 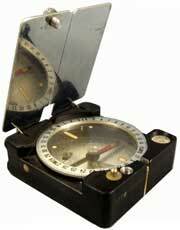 27) was a German manufacturer of scientific equipment. 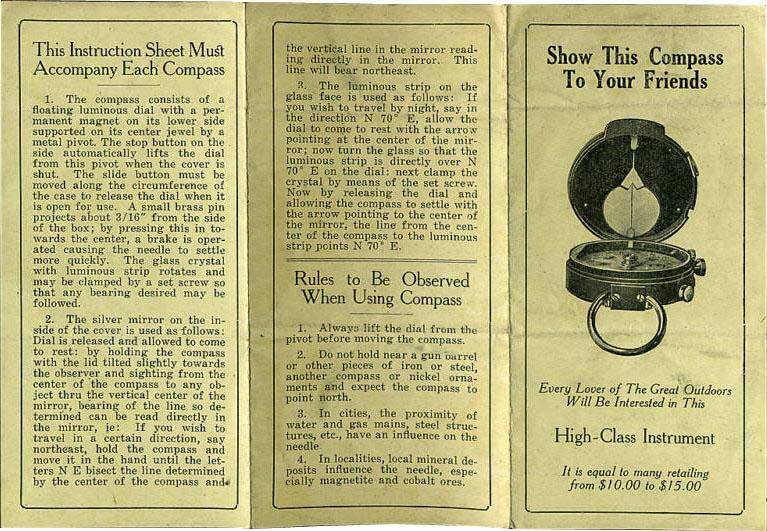 M. & M. built in 1924 the TRIUMPH compass. 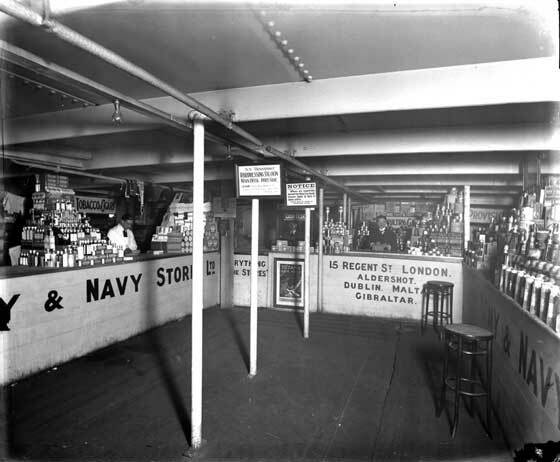 Link to the 1903 catalogue no. 27. 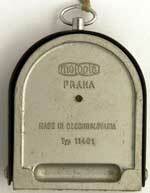 Czechoslovakian manufacturer located in Prague (Praha in Czech language). The name (MEchanická a OPTická výrobA) was created after the company SŠP was taken over by the state in 1946 and merged with Optikotechna. 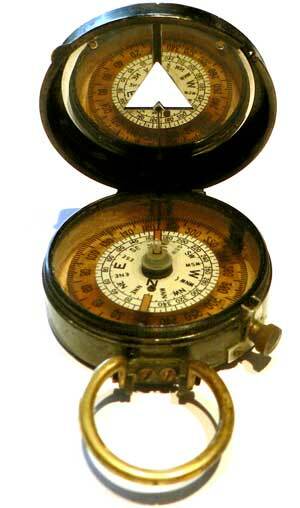 Both had produced in the 1930's and 40's a Bézard-type compass. 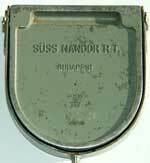 The only difference lies in the arrow on the lid which is only a decal on the SŠP-signed civilian model. 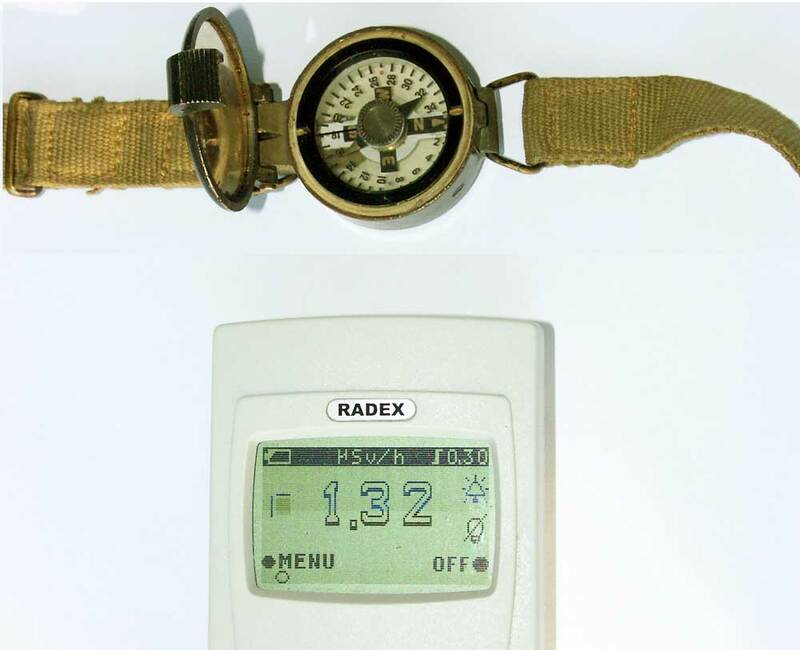 See also the Meopta survey compass.This company's confidential manufacturer code for military materiel during the communist era was xbk (link to example). 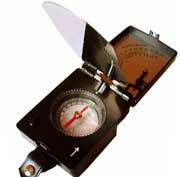 - The mirror can be held at an angle of 45 deg. 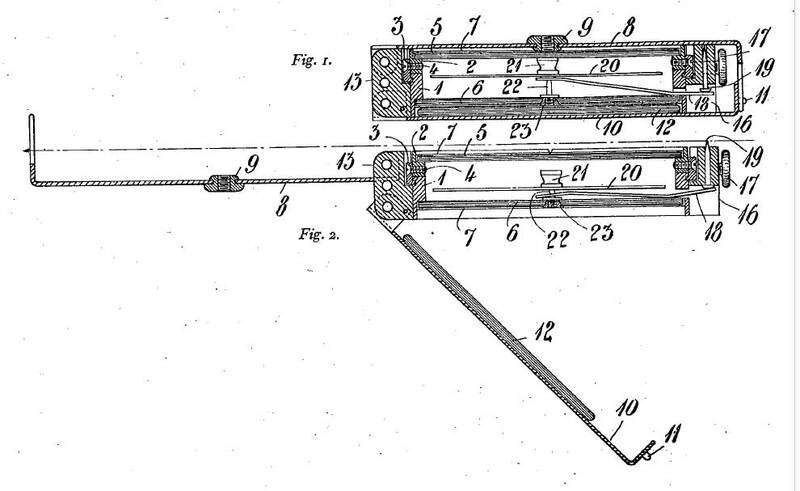 by means of a blade spring mechanism. PROFILE - Former Swiss company located in Ettingen (for more information click HERE). 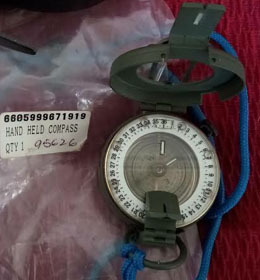 NOTE: Not to be mistaken for the survey compass model called MERIDIAN and made by the former German company WILKIE and currently by K&R (see SURVEY compasses). View Dismantled. The capsule can be refilled via an opening on the side. 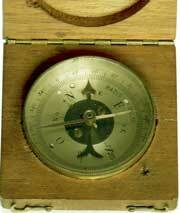 Its bottom is shaped like a barometer's to compensate for pressure and temperature variations. - Mirror: metallic, two short lines of luminous paint. 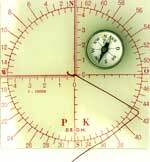 - Adaption to various declination values by rotating the glass window with red lines. The abbrev. MK probably stands for the German word Marschkompass. 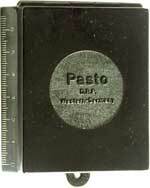 Early models feature a disk made by PASTO. 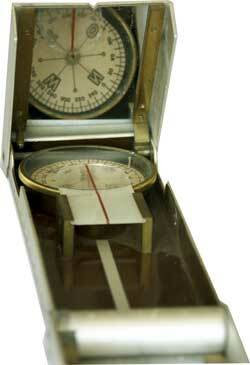 Note: this prismatic instrument is a very simple imitation of the famous british Mk III compasses. 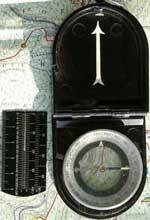 Its design is almost identical with the light-weight PASTO model 206 S (see below) but has a metallic case and no marching course arrow. It is not clear which was made first. 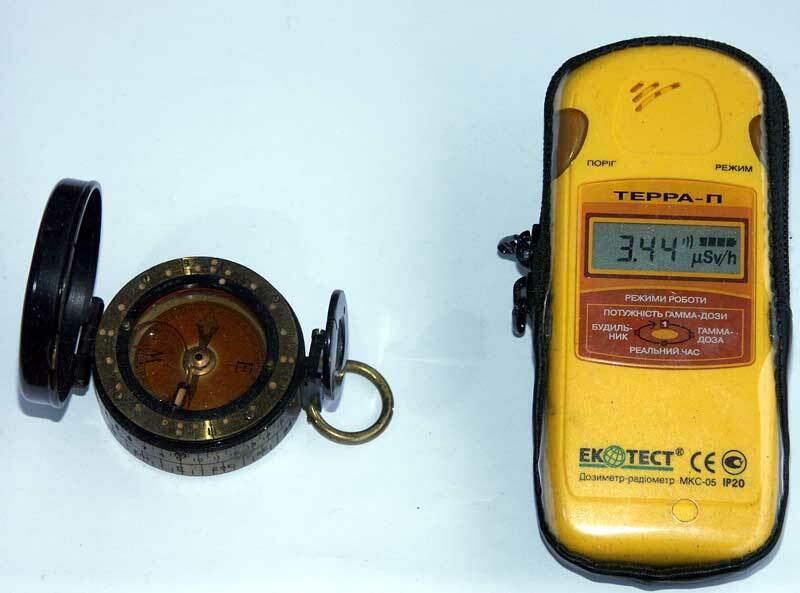 On some compasses, the company's address is indicated as being PERY in Switzerland. 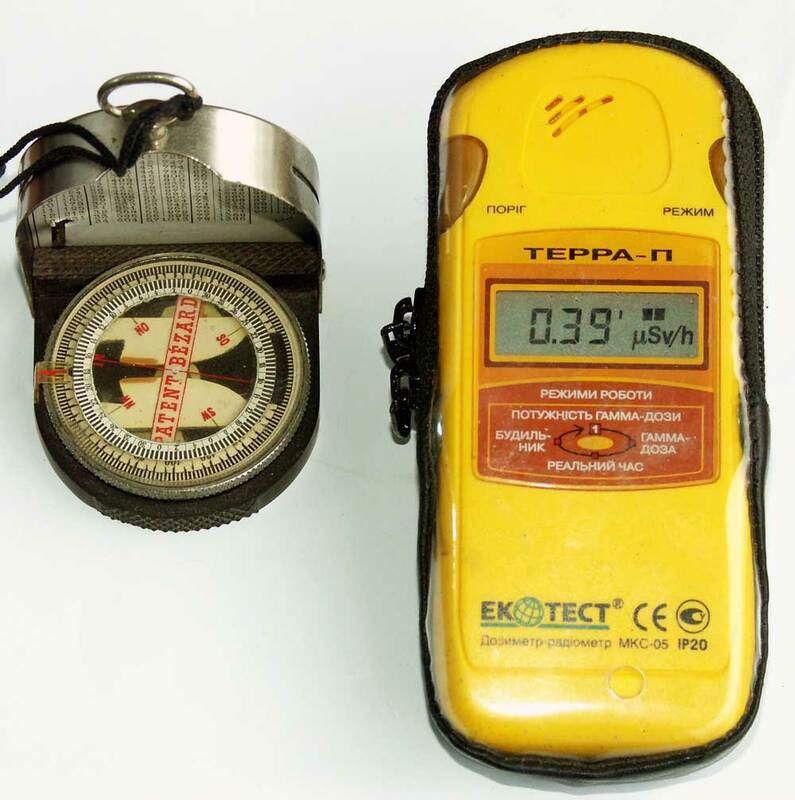 PROFILE - MILLER is an Austrian company located in Innsbruck. 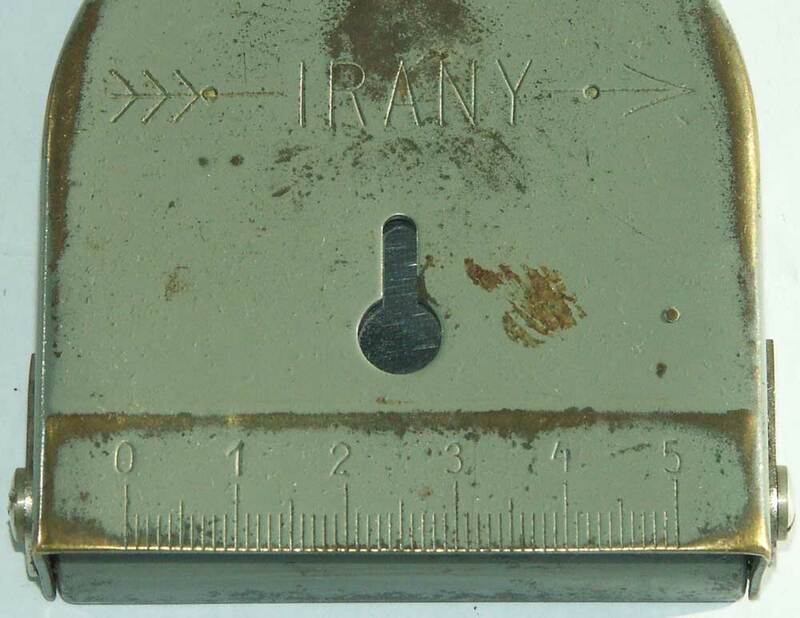 Its director Dr Bruno Miller (90 y. old in Jan. 2013) who had inherited the company from his father Fritz Miller in 1951 could not remember having seen items marked like this one. 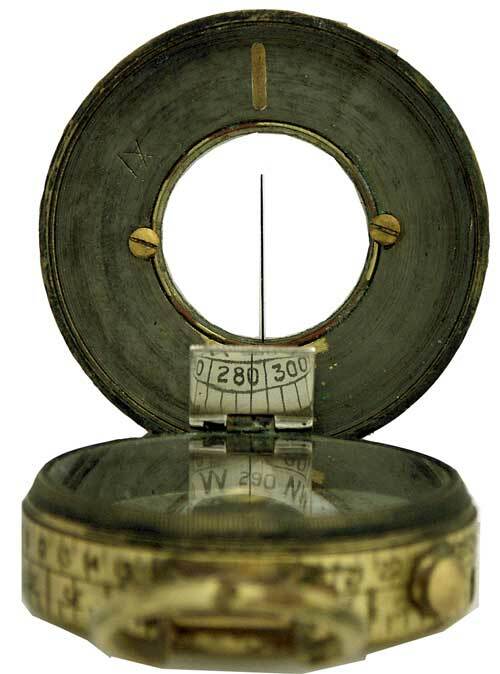 Miller never built light compasses but optical survey devices (theodolites). 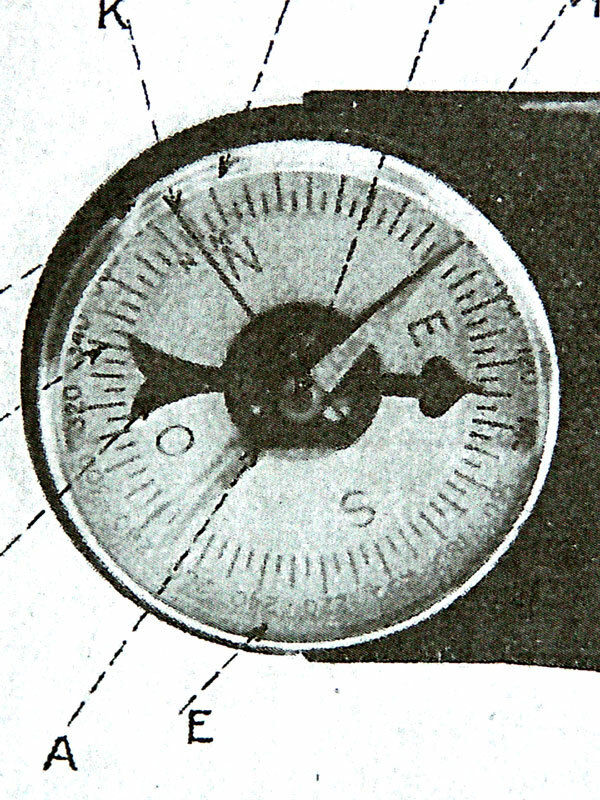 The graduated circle and the needle are identical to items built later by PASTO / WILKIE. 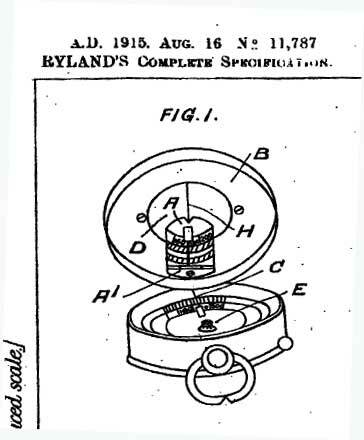 The bakelite case is identical to the more simple one displayed in the MERIDIAN article (above). The cover/mirror can be secured by a screw and activates the transit lock. 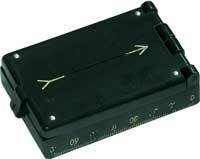 PROFILE - This instrument is the only one we know of featuring an entirely black card (compare with Stinger). They were manufactured between 1915 -1930 by F. Barker & Son for the Indian Army (Still under British rule). 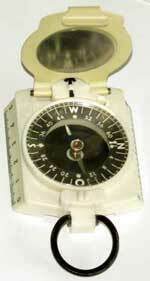 The dial was also sold in the UK, but wasn't a popular design. Generally when F. Barker & Son developed something that didn't sell well in the UK they managed to sell it to the British Army in India. 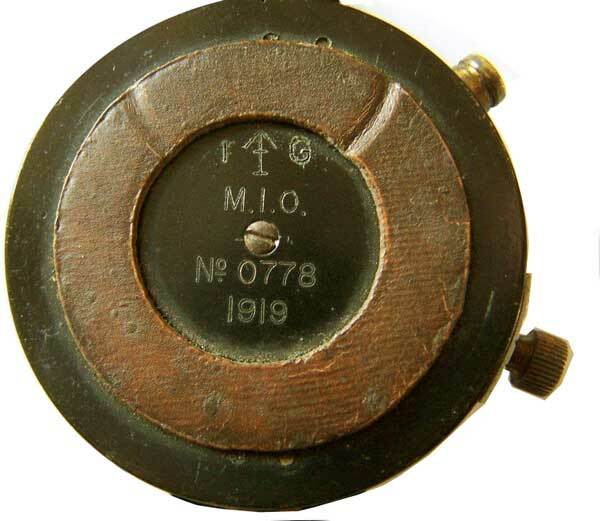 Until today, we could not find out the meaning of the abbreviation M.I.O. 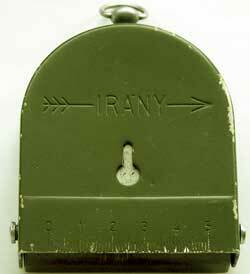 and of the T on the pouch. Your help is needed, thank you. • On the base: broad arrow above the upper-case 'I' for India between the letters I (or the fig. 1?) and G.
The mirror compass was first invented by ... in ... (...?). 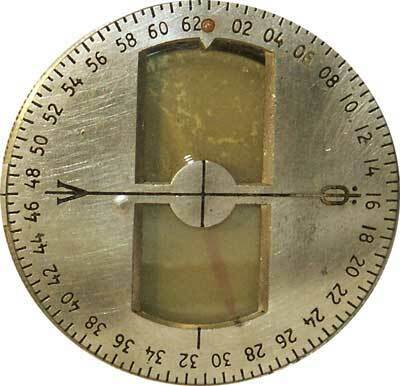 Mirror compasses usually have like the prismatic compasses a double row of divisions on their card: one is printed in normal figures so that angle values can be read with the naked eye directly from above through the crystal. 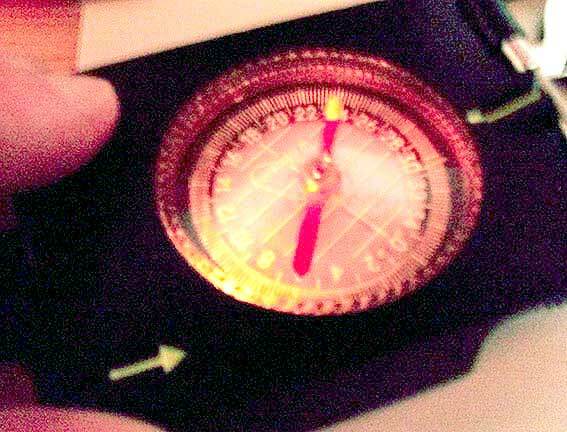 The other one is printed inverted and can be read in a mirror placed in a lid behind the compass capsule. Mark III models were built in Australia during WWII and also from 1966 onwards in Australia by J. W. Handley of Melbourne. 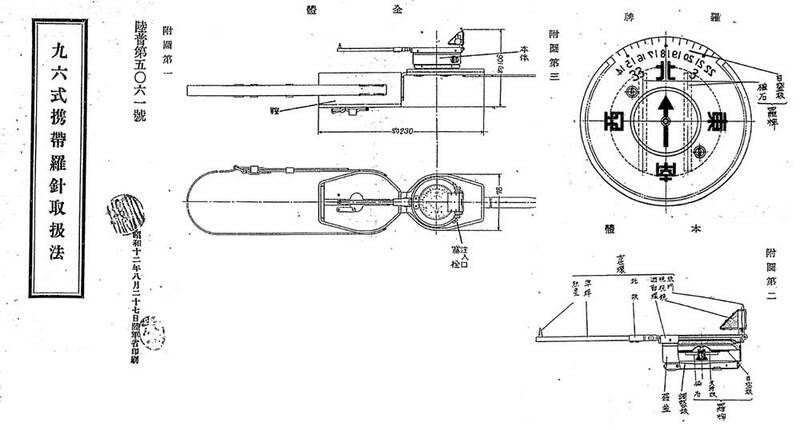 They were designated MK3A. 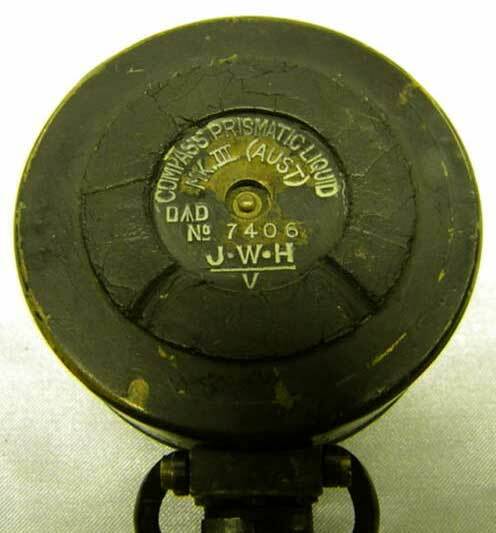 By 1966 the patents had all run out and Australia was producing them for its own Military. See below at right the latest Austr. version with two different NSN after replacement of Radium with Tritium (note the abbrev. GILS in the center). India also built MK3A models. The meaning of the abbreviations O.D.D. and O.F.D. is unknown. 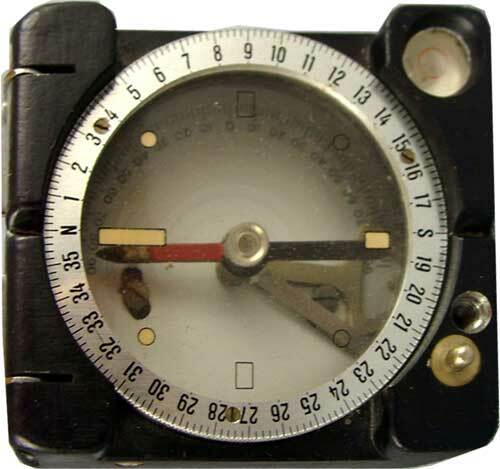 The compass type called Modèle 1922 was utilized within the French Army and Gendarmerie (road police) from its start shortly after WW I as a successor for the boussole directrice utilized by the infantrymen. It appeared rather late (late 1920's?) 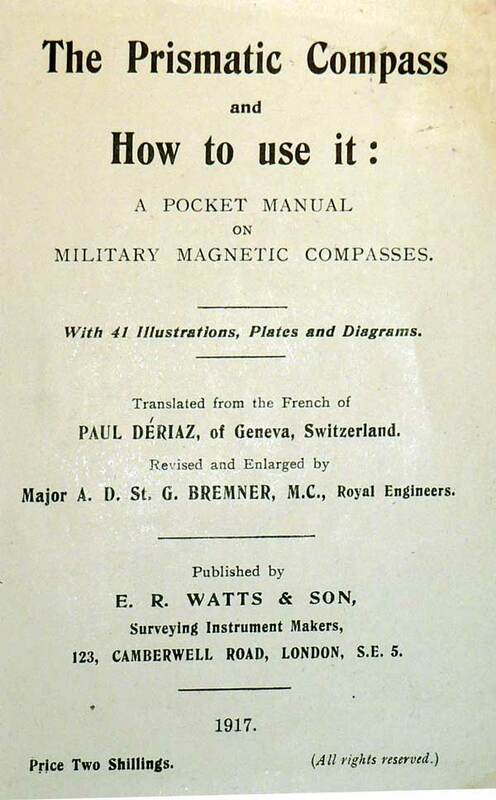 in the instructions manuals for infantrymen (Manuel du gradé d'infanterie - see picture at right - click to enlarge). 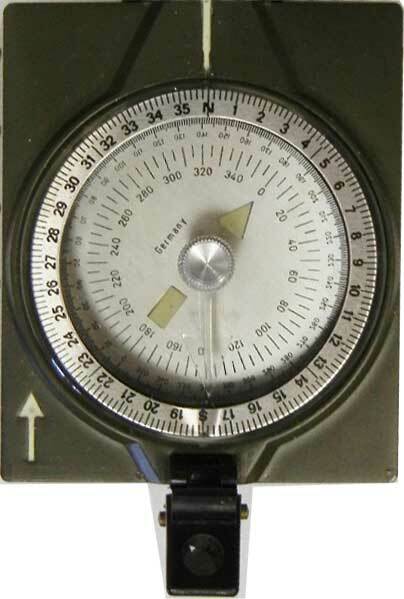 Its typical U shape reminds strongly of the BÉZARD compass (click on the link to open the special chapter dedicated to this system) by which it was replaced after WWII but it lacked its main features. 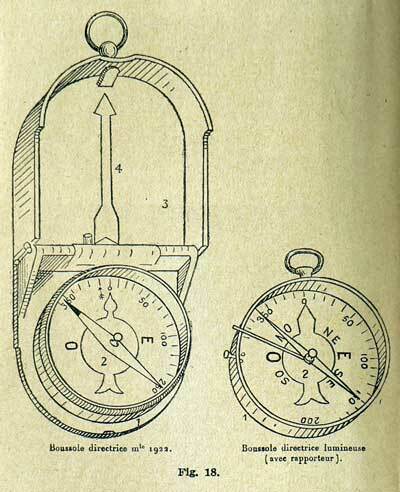 There was also a simple pocket version featuring the same design (see at right and MORIN's pocket compasses). Another marching compass made by DOIGNON was also called Modèle 1922 although it was very different. It was the basic design for the Polish KM32 (also called MK32) first produced by GERLACH, then by JEZNACKI (check these names). 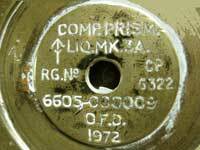 It was also used in Belgium's Army and Gendarmerie units from ... until ...(?). 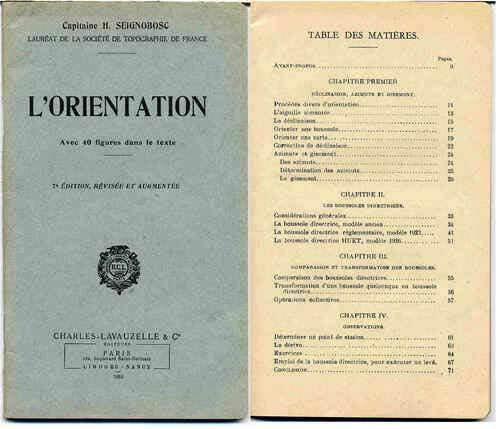 Read the complete user instruction of this instrument in the French Army in the booklet L'ORIENTATION published by Lavauzelle (editor specialised in military documemntation (photocopies avalbl.). 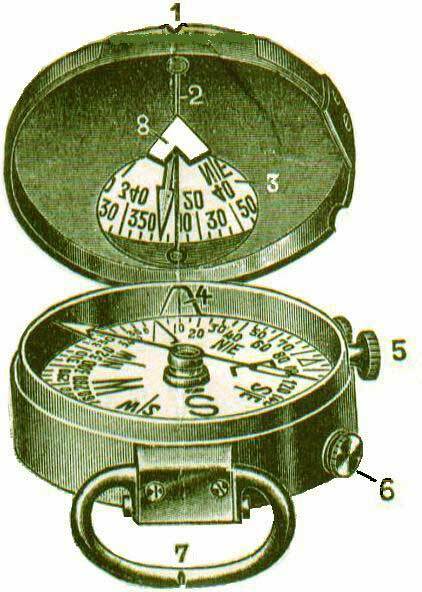 The Modèle 1922 compass as described in an instruction document issued by the French Institut Géographique National (IGN, 1943). 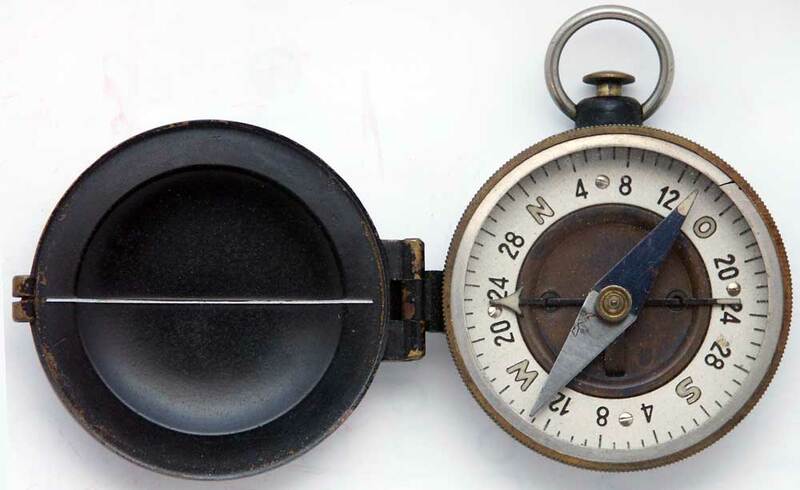 Its dial features a fixed black marching arrow like on the WWI pocket compasses made by MORIN and LUFFT (see these categories).
. On the hinge: Mle 1922 + manufacturer's name + S/No. 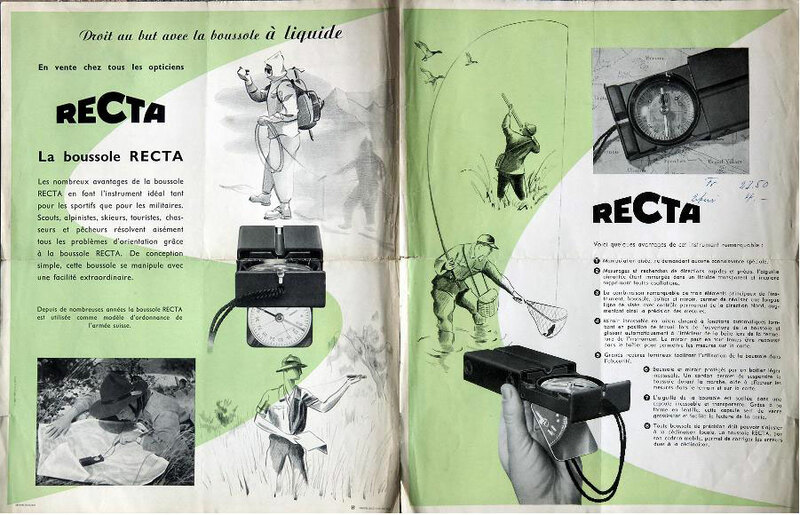 Other manufacturers: CRC, DLM, SECRETAN, Sté des Lunetiers (S-L), GAUMONT etc. 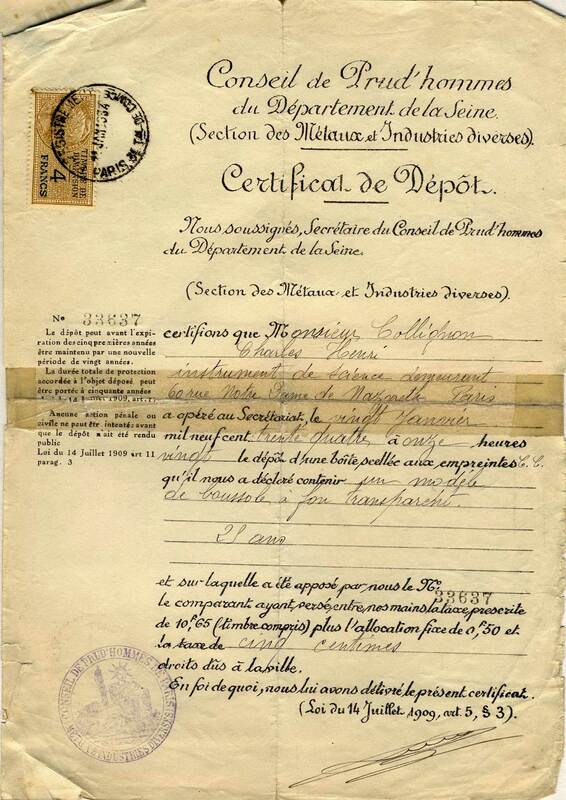 - Radium markings (Société Française d'Energie et de Radiochimie, 51-53 rue d'Alsace, Courbevoie). 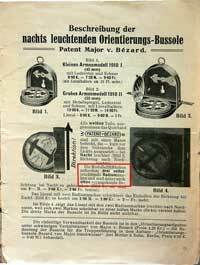 The 1st bakelite case (supplied by Baldon located in Bezons) was presented for acceptation on Dec. 12, 1933. Later, in the Kralastic casings made after 1945, the mirror had to be fixed by 2 screws. Picture above right by courtesy of M. Collignon who also supplied us with the technical and historical data. Version with aluminum table made of oxydised aluminum. 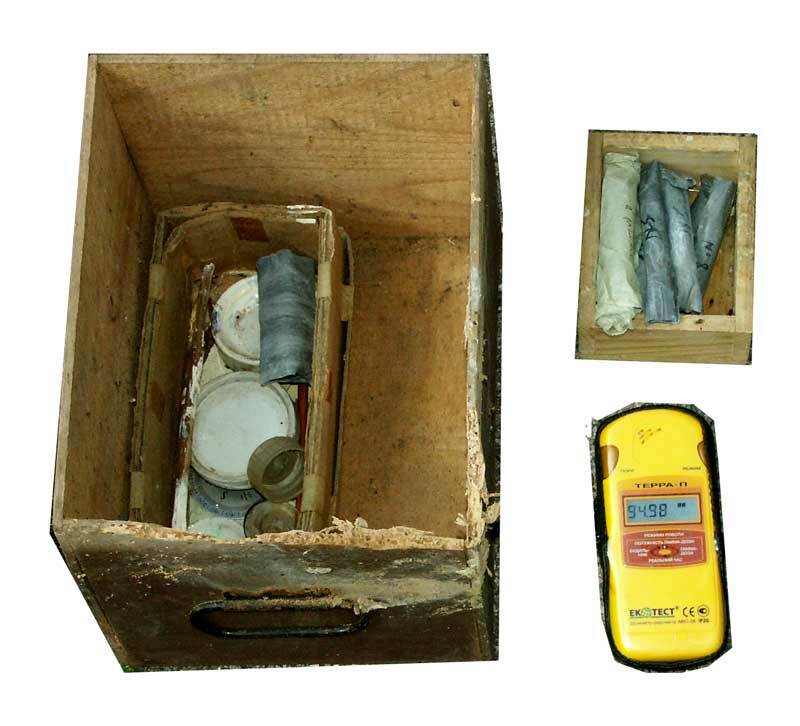 The case was made of a special plastic called Kralastic treated against static loading. * The model no. 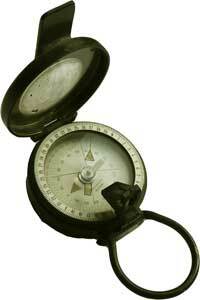 appear in internal documents (price list) These compasses had depending on the client's choice a 400 grades, 360 deg. or a 6400 MILS division but were all delivered with a conversion table stowed in a slot between the capsule and the transparent case body. See on pic. below the scales D (degrees), G (grades) and M (Mils) plus a 50 mm ruler. One model featured a measuring device made of two scales (degrees and percentage) for positive and a negative angle values. Prodedure: holding the compass fully open by the lanyard, read the angle value of a target (viewed in the sighting notch) on the opposite side of the scales printed on the lid. 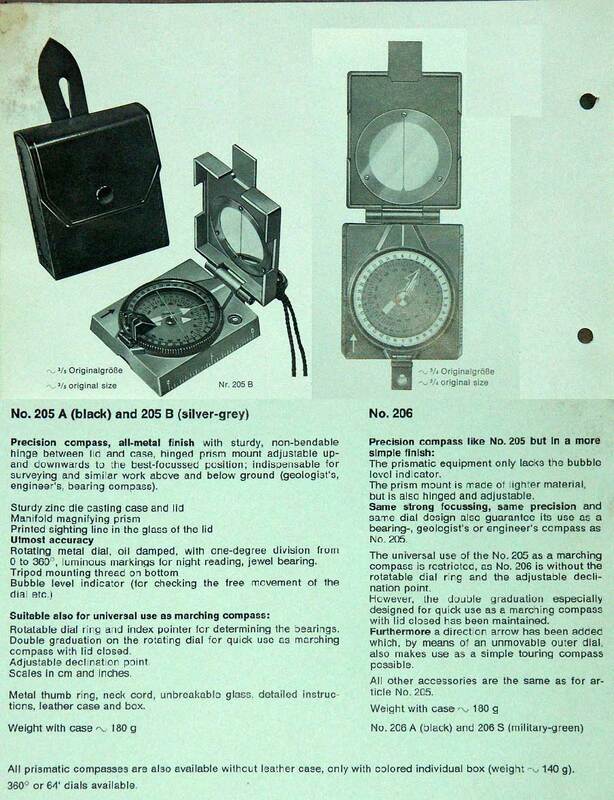 Compare to the Büchi and Teleoptik systems. 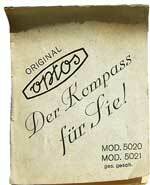 The compass capsule alone was also sold as a pocket compass (see LUFFT no. 1950). 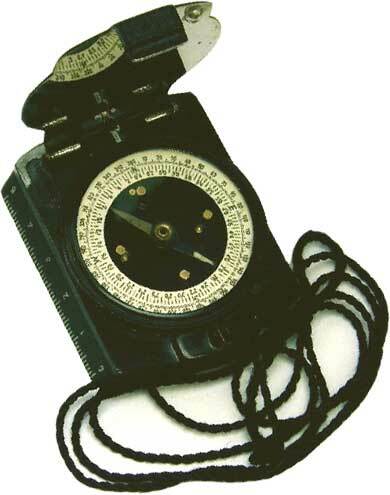 This prismatic marching compass is described in a Japanese document. 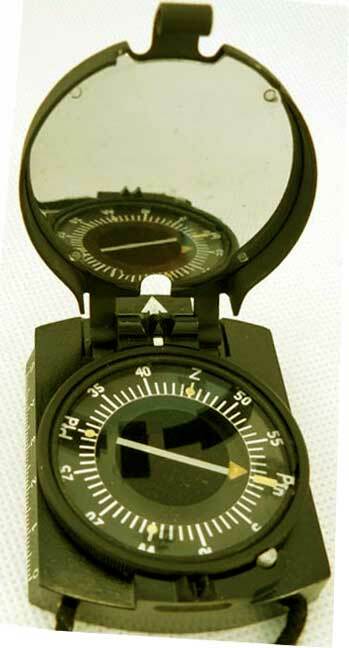 The designation is taken from the file title: Handling Procedure for the Model 96 Carry-on Compass. 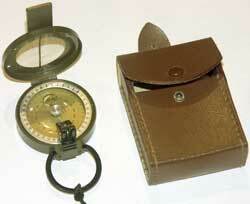 It looks like a standard British Mk III but is attached to a pouch or box into which the prism is folded back. Unfortunately no pic available. 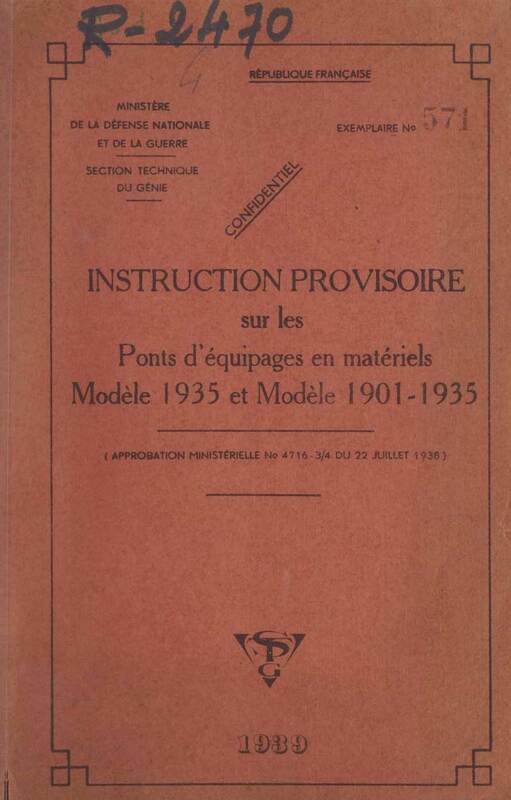 Link to a 3-side view and the title page of the user instruction (full original document available - translation in progress). 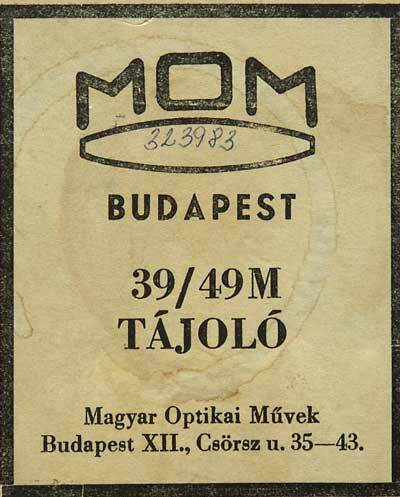 PROFILE - MOM (Magyar Optikai Művek, Hungarian Optical Works) was a Hungarian company founded in 1876 by Süss Nándor (1848-1921) in the University of Kolozsvár, 8 Mozsár street, and first named Süss Precíziós Mechanikai Intézet (Süss Precision Mechanics Institute). 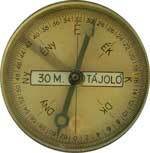 The company moved in 1900 to 9 Alkotás street and its name was changed to MOM in 1939. MOM closed down in 1995. 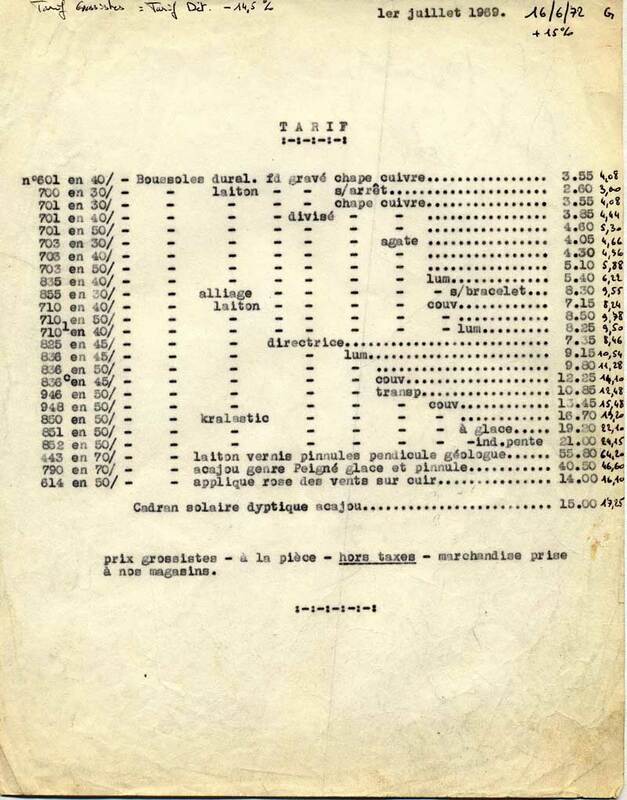 Its logo consisted of the three letters "MOM" in a circle or the figure 41 (the company's code during the communist era). 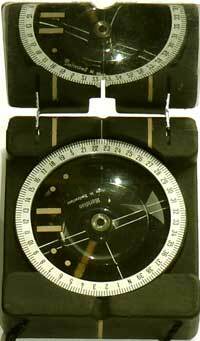 MOM built a BÉZARD-type compass which was larger than the first version made by Süss Nándor (identical to the German version), just like the Polish K.M. 32 was larger than the French Modèle 1922. 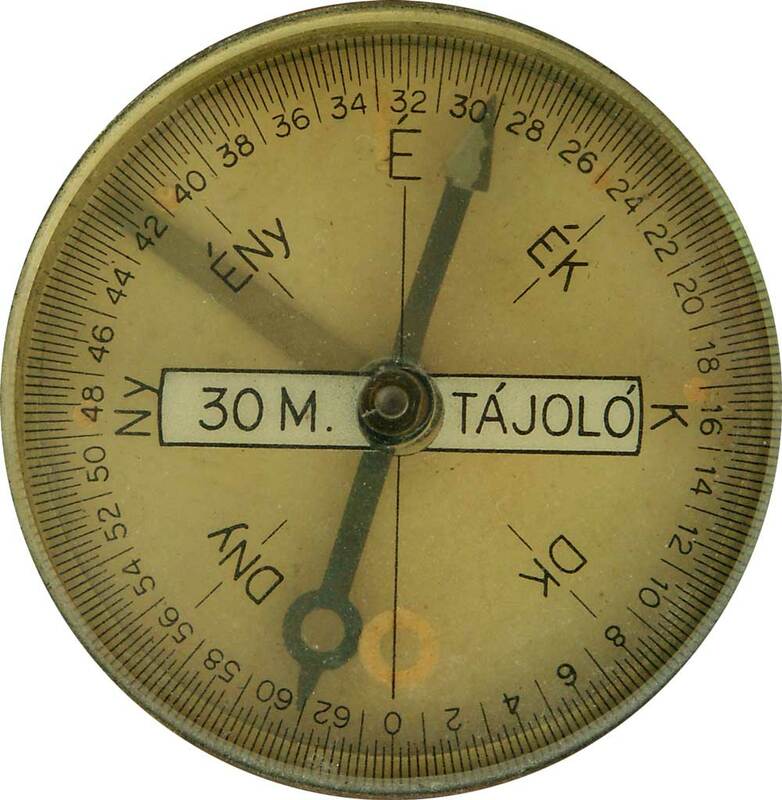 The original version signed Süss Nándor and dated 1930 featured the characteristic dry needle with its disk-shaped south end. 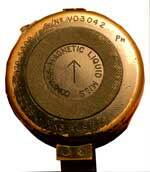 The later versions featured a fluid-dampened needle. 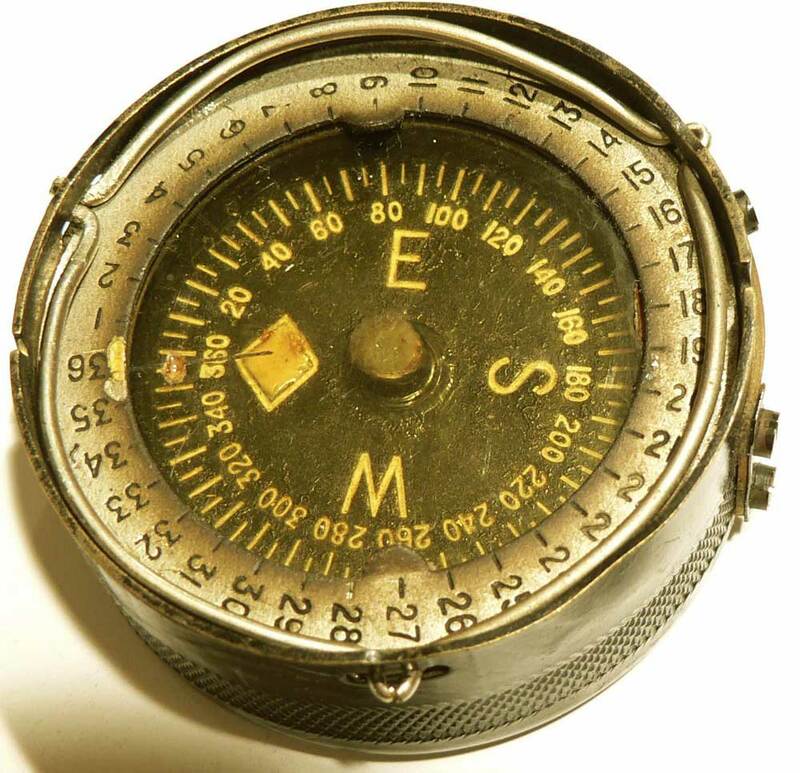 The older models (before 1939) featured divisions with the zero facing south (for details, go to the Technical Data), a brass capsule casing and lid while the later ones are much lighter: capsule casing and lid are made of aluminum. 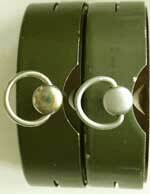 Shape and material of the attachment rings are also different. 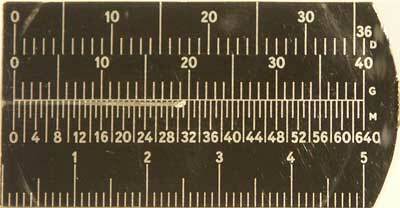 The instrument was utilised exactly like the Bezard UBK with a 10 cm ruler. 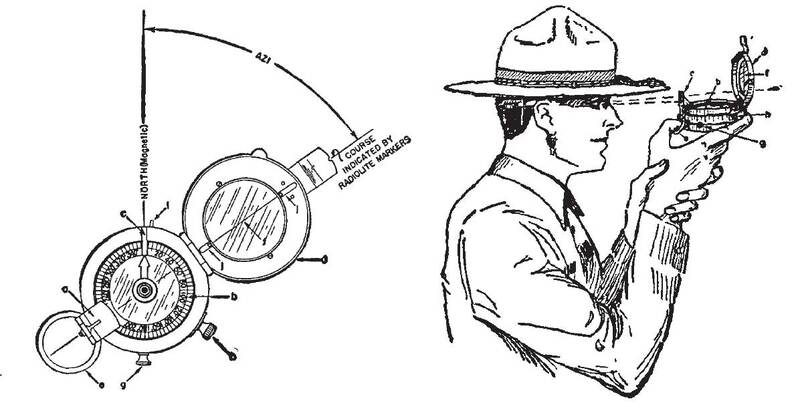 Earlier versions had an elliptical mirror, the later ones had a round mirror covering the crystal and painted in green camouflage (click HERE for picture). 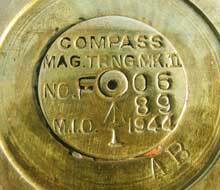 This compass type is said to have been issued to the North-Vietnamese troops during the independance wars (fought first against France, then against the USA) despite the language used for the word DIRECTION (IRÁNY) and the cardinal points (see MISCELLANEOUS). It seems that MOM only built the military version. A small version identical to LUFFT's Model I was manufactured by GAMMA. 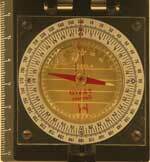 MOM also built a copy of the F. Barker's Mark III (see Ted BRINK's website www.CollectingMilitaryCompasses.tk). The first Süss aluminum version (built 1930) was blue-grey coloured (dial: see image at right). 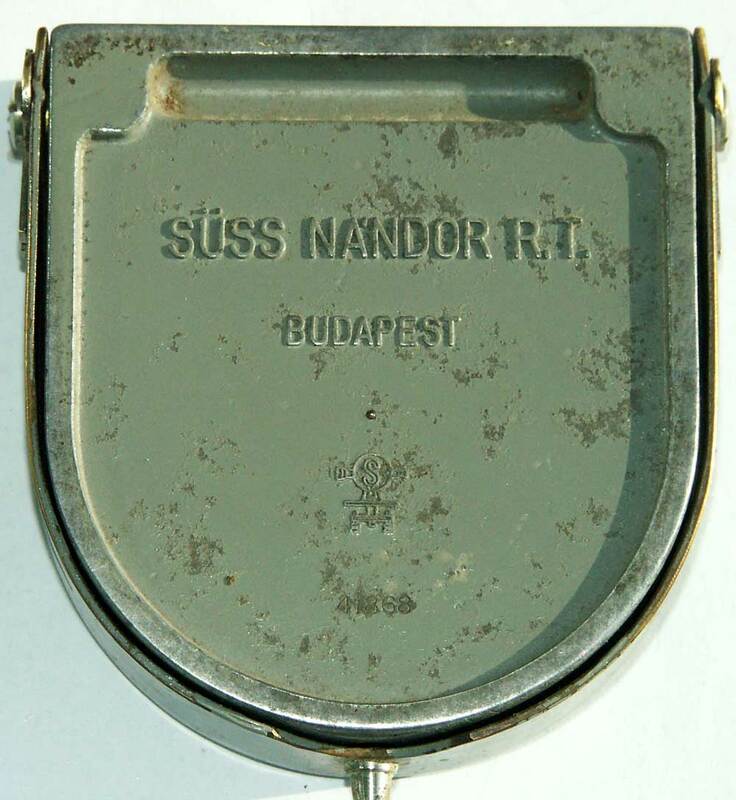 Engraving on lid: IRÁNY means DIRECTION in Hungarian language. 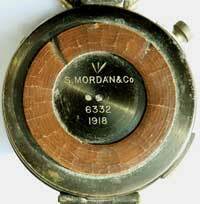 PROFILE - S. Mordan & Co made mainly Verner's pattern compasses during WW1. 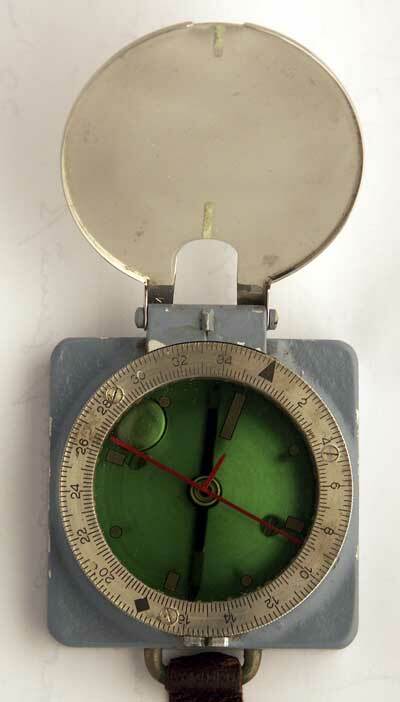 This item is called a mirror compass and is a variation on a model designed and produced by Cruchon & Emons and PLAN Ltd. in Switzerland for the U.S. Corps of Engineers. See also exhibits made by French Limited (F-L) and Ed. KOEHN for examples of Verner's pattern Mk VII and VIII. Profile - Former French retailer (for more information, click HERE). 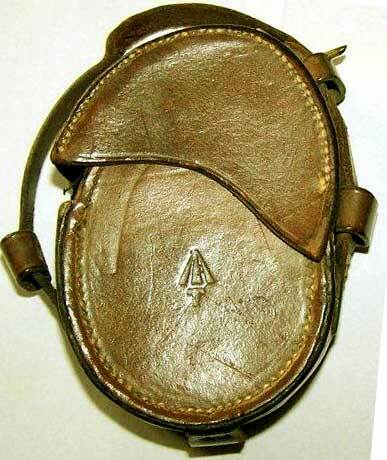 MORIN proposed in the 1960's a civilian version of the Modèle 1922 made first of bakelite then of plastic (see details above) manufactured by COLLIGNON. 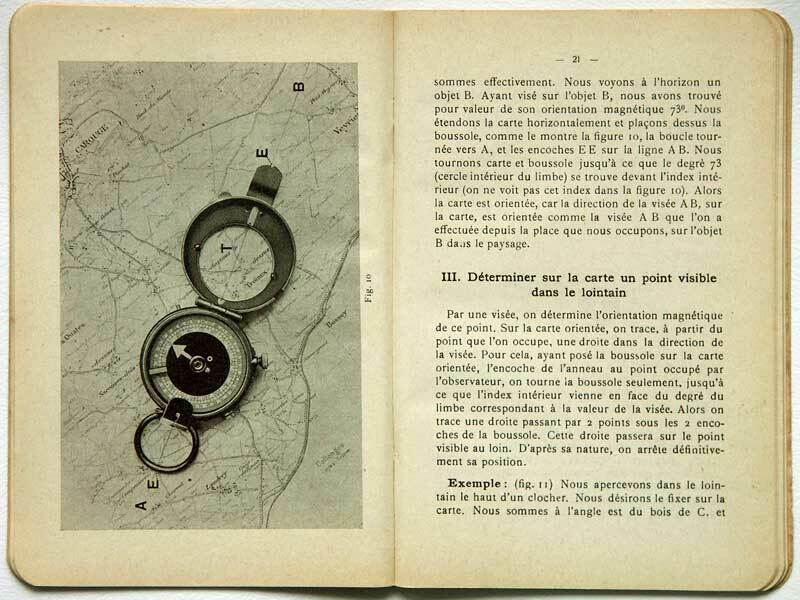 Morin had this picture printed in the greatest French Encyclopedia Larousse (ed. 1968)! 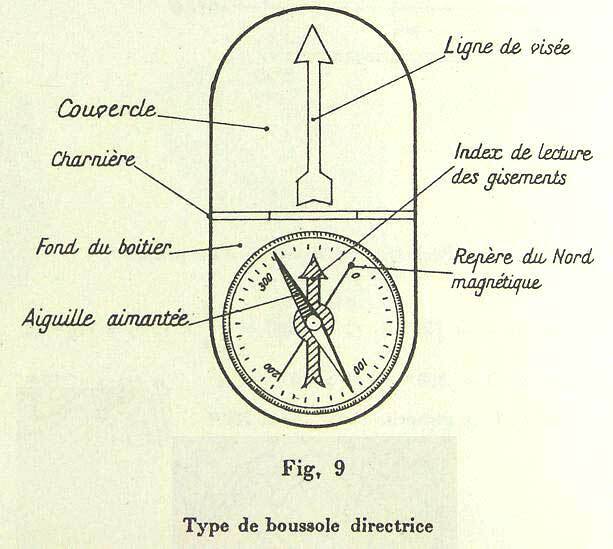 The compass also called boussole directrice in the Morin catalogue 1930 (see picture at right) is described in the department of Pocket compasses (entry MORIN) because of its shape and some similarities with other instruments (see LUFFT, BUSCH etc.) 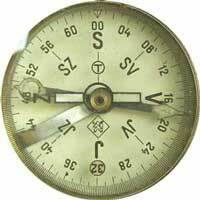 although it is a marching compass as far as its function is concerned. 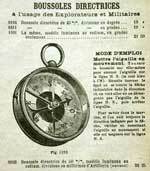 It was the standard compass of the French WW1 soldiers. PROFILE - Norddeutsche Elektro-Akustik Gesellschaft, Kaufhold K.-G., Berlin SO 36, Oranienstr. 185. During WWII the confidential three-letter-code was cjy. 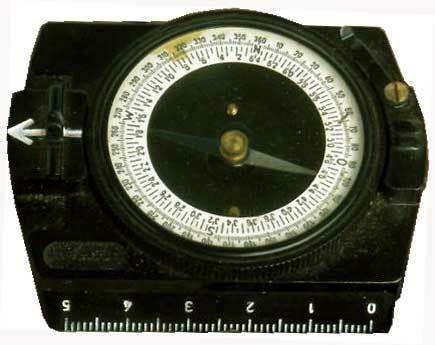 Standard marching compass of the German Wehrmacht Soldiers. Techn. descr. : s. BREITHAUPT. Pictures courtesy Jaypee - private coll. N & Z built large instruments for ships. 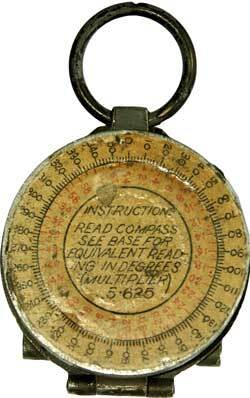 A Verner's pattern Mk IV prismatic compass like the next item (Newton & Co.) but bearing N & Z 's signature is also known. PROFILE - Newton & Co. was a British manufacturer (more information HERE). 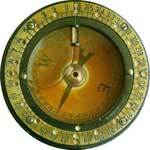 It seems that this company produced the earliest Verner's pattern prismatic compass known to date. 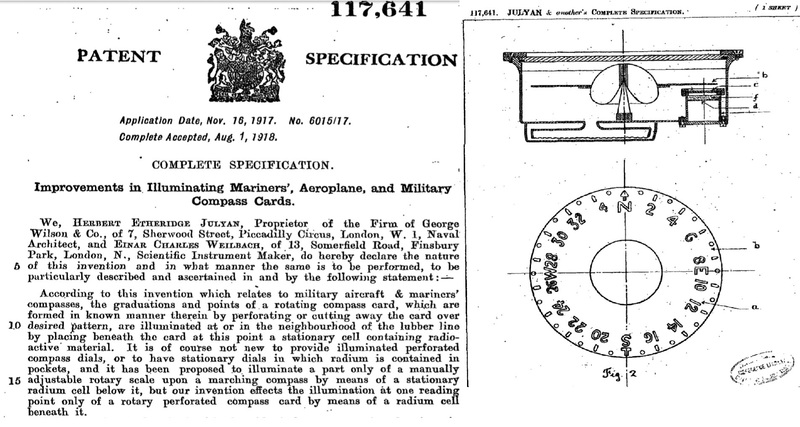 It was designated Mark IV and featured a mother of pearl card with a single row of figures. 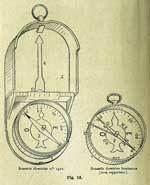 Albert NIEDERMANN was a Swiss inventor. 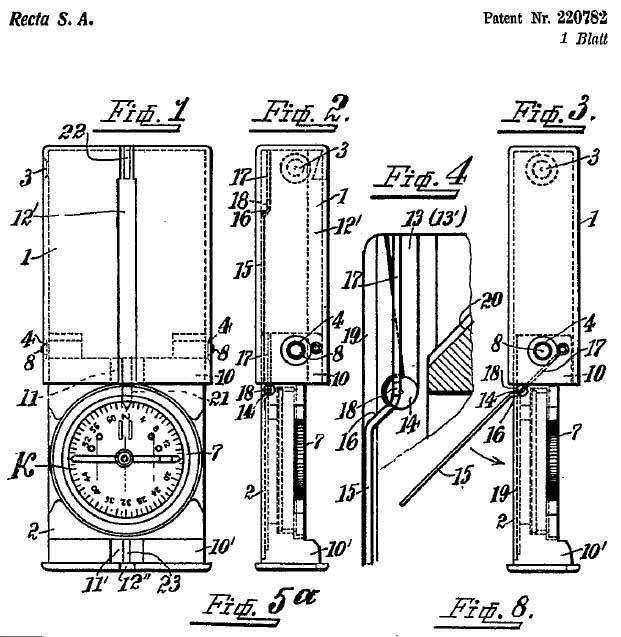 He patented several systems, two of which were produced by BÜCHI (see above). This instrument was never built. 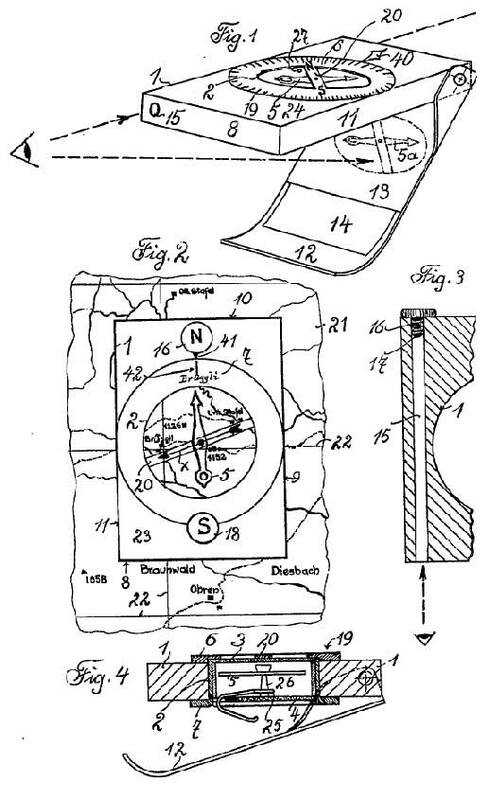 Niedermann filed in 1940 a patent (swiss no. 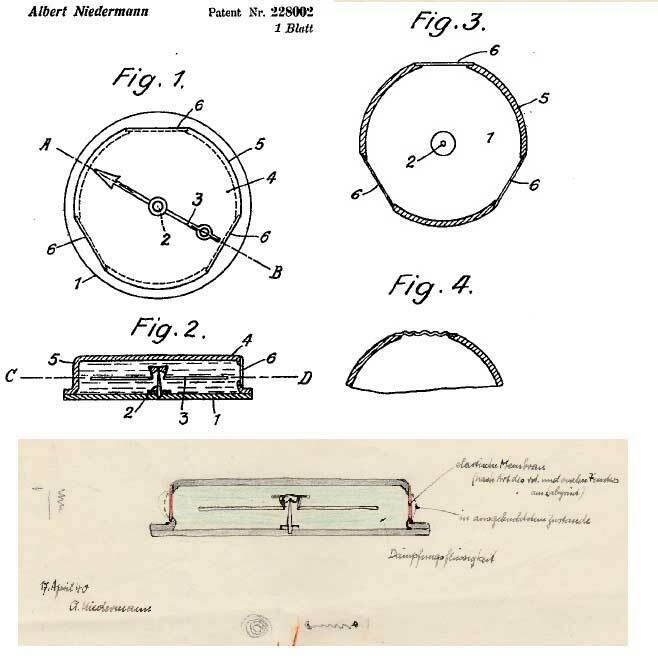 165,879) for a fluid capsule (Membranfensterdose) which was sued by the Swedish makes Instrumentfabriks-Lyth and Svenska Elektro-Industri Co. because it infringed the rights of their own patent (Swiss no. 193.664). 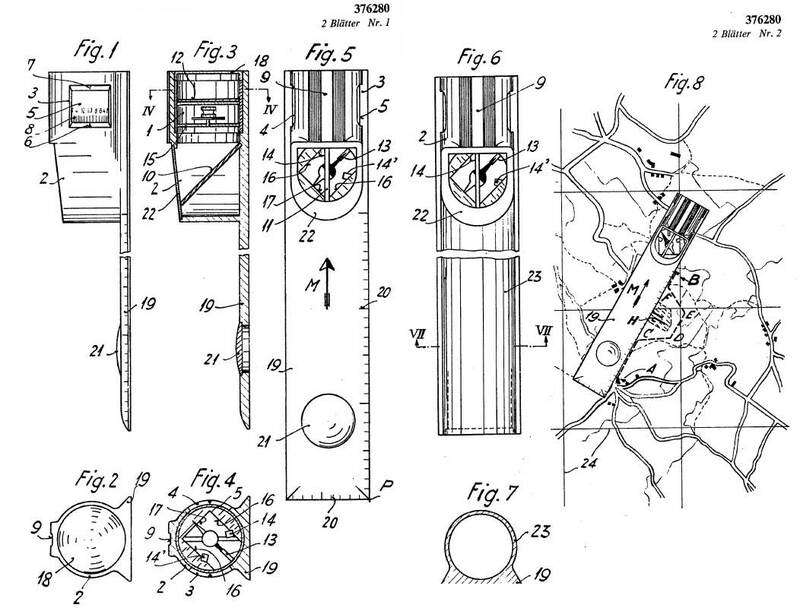 Niedermann's solution was described in 1943 in a new patent (no. 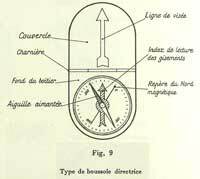 228.002): the adaption of the capsule's volume to the variations caused by pression and temperature changes was ensured by the side walls and not by the base or the top glass (s. drawings at right). 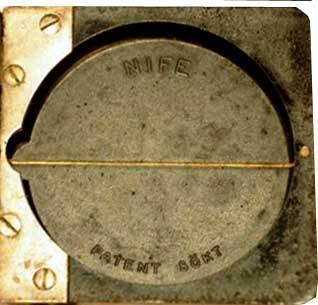 PROFILE - NIFE is the name of a Swedish-owned company that made Nickel Iron (Ni-Fe) batteries in the 20s and 30s in England. 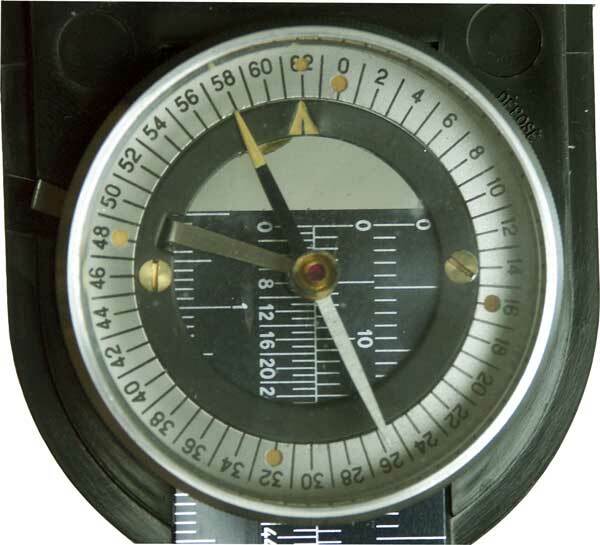 We were told by a SILVA representative that this compass type was made by a company called A/B Lyth, and based on a design by Gunnar Tillander. We don't know which kind of relationship existed between NIFE and A/B Lyth. It was also built in a different version (with mirror in the lid) by SILVA. 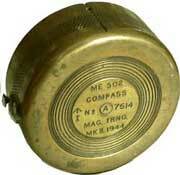 It was one of the first fluid dampened marching compasses (apart from F. BARKER & Son's prismatic liquid Mk III). 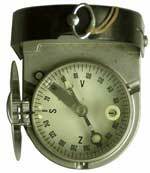 This item was built in the 30's (this item is marked 1933) and features the typical Swedish division of 6300 Mils (streck) division. 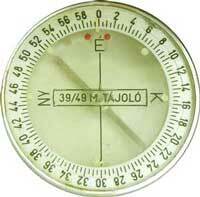 Note: Sweden was the only country worldwide to utilise compasses with a 6300 mils. division. 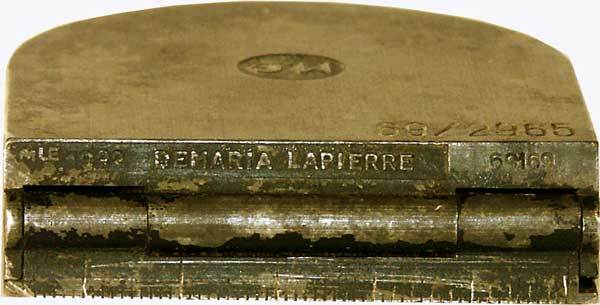 In the lid, where the brand name NIFE and the word Patent appear, is only a line of luminous paint but no mirror (compare with SILVA's and LYTH's versions). - Divisions: 6300 mils, clockwise. 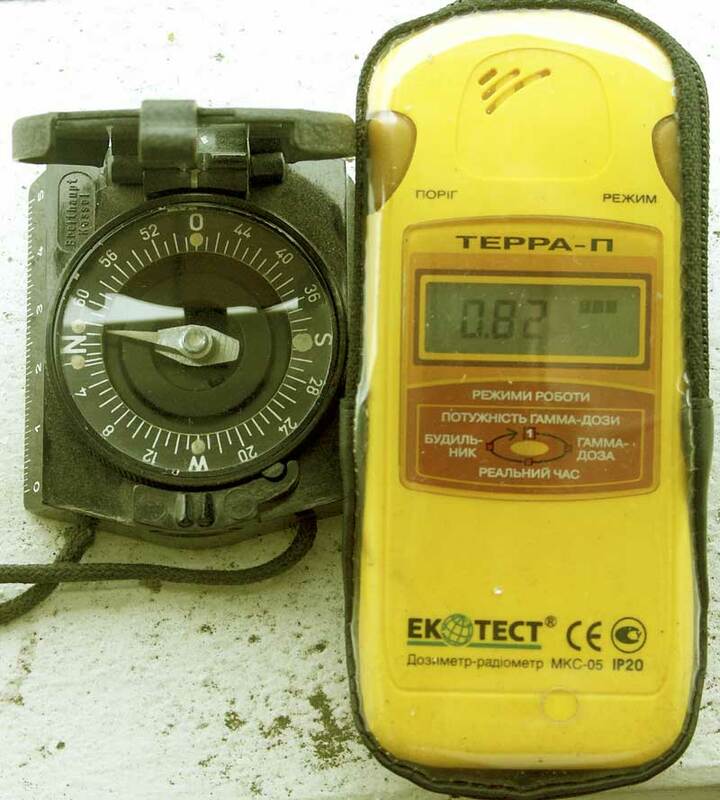 The North's red mark is exactly located on the figure 63. Cardinal points for W and E in Swedish: V-Ö. 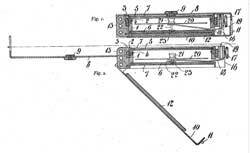 PROFILE - Raffaelo Nistri (read OMI in Aero Compases) was an Italian engineer. 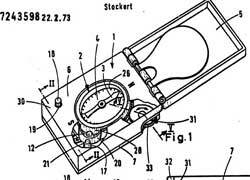 He filed in 1956 a patent (Swiss issue no. 314952) for a marching compass. 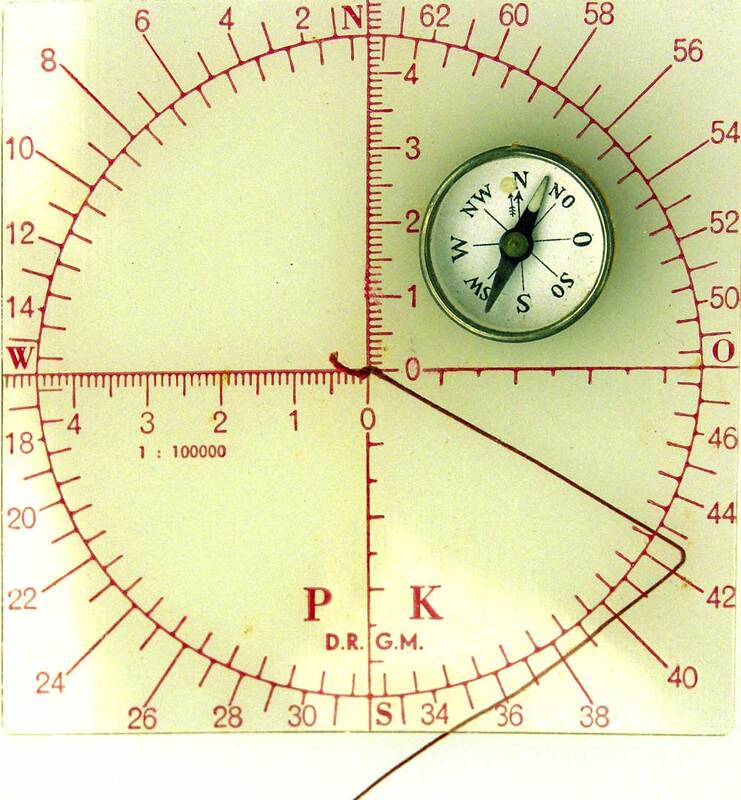 The former East Germany's army Nationale Volksarmee (NVA) used a training poster featuring a compass made by Freiberger Präzisionsmechanik (FPM). NV Ltd OBSERVATOR was a Dutch manufacturer located in Rotterdam, created in 1924, bought by Kelvin Hughes in 1996 (read in WIKIPEDIA: John Lilley & Gillie). They produced also other instruments like sextants and ships compasses (see this category). 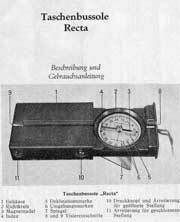 Optikotechna was a Czech manufacturer of Přerov. Its logo was a T in what seems to be a circle but is in fact the letter O (see pic. at r.) or a vertical bar in a circle. 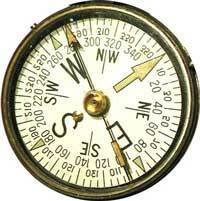 This logo also appears on the face of other compasses (link to pic.). They produced during WWII optics instruments for the German army, notably binoculars. 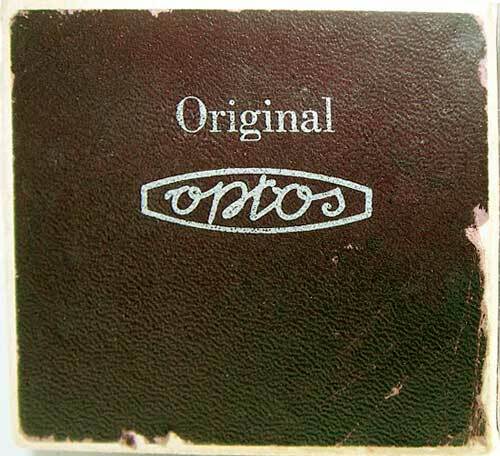 After WWII, Optikotechna was nationalized and renamed MEOPTA in 1946. 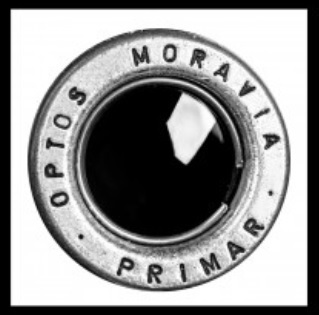 Former Czechoslovakian company producing mainly cameras (brand name OPTOS MORAVIA) located in aus Prostějov (former name Prossnitz in Moravia). 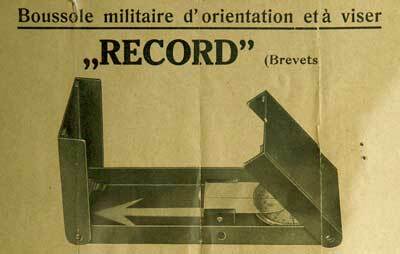 Historical records: 1938-1953. 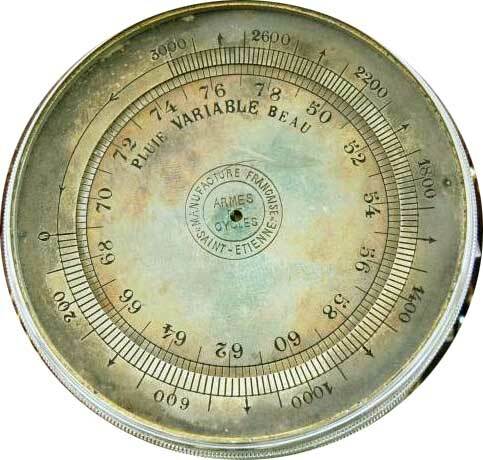 This instrument features all typical characteristics of the small Bézard-type compass (model I, w/o mirror). 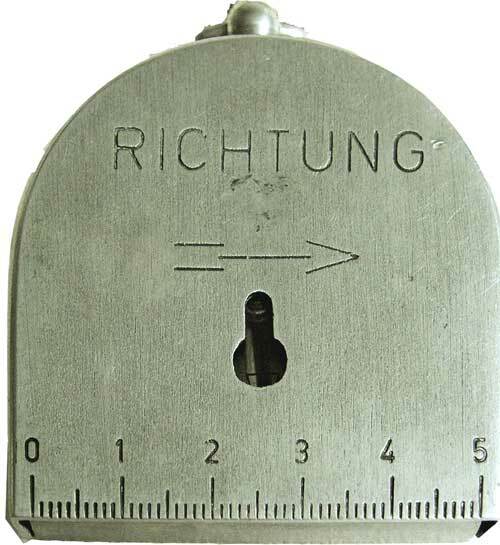 The only design difference is the arrow on the lid below the word RICHTUNG (Direction) where it is superimposed on the genuine LUFFT compasses. The West-East (W-O) line is meant to be aligned with the city names on the maps so that the side ruler can be oriented according to a desired marching direction without having to orientate it. 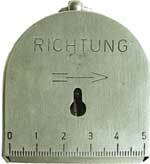 Contrary to LUFFT's Bézard design, the arrow and the word RICHTUNG (direction) are separated. The magnetic declination marker consists of an aliminum tag attached to the frame. 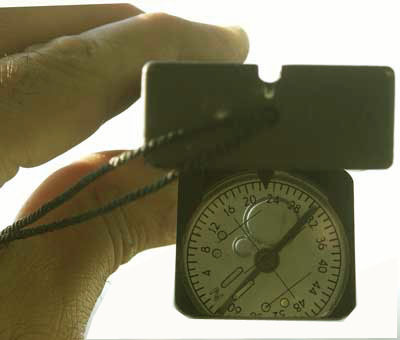 The crystal can rotate within the frame to adapt to different declinations. The pictures show the Model no. 5020. The model no. 5021 featured a mirror like the small Bézard IS. 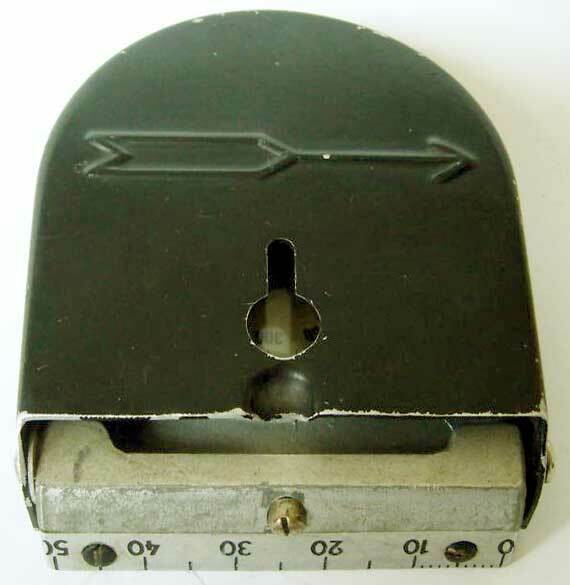 The transit lock system is unique: a cam rod concealed inside the casing and actuated by the closing of the lid depresses the lever raising the magnetic needle. Pics at left: Views of the box and the user instructions. 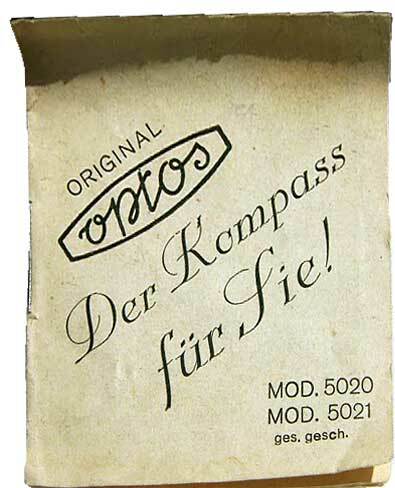 ORION was the model name of a KRÖPLIN marching compass. PROFILE - Former German Company locatedin Fürth near Nuremberg. It was bought by WILKIE on Dec. 31. 1972 (for more information click HERE). 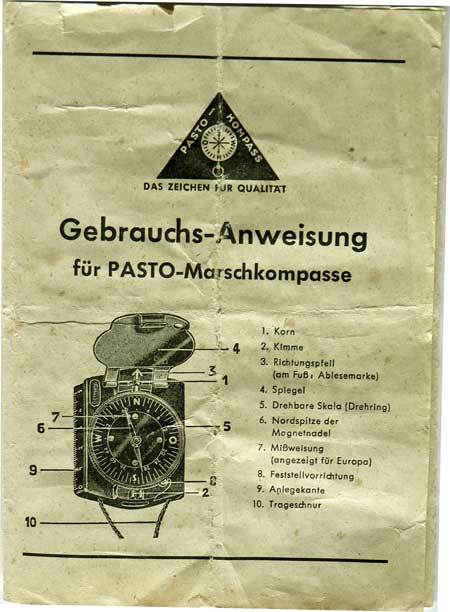 PASTO built KÜHRT's only model but somewhat smaller and with numerous detail modifications. 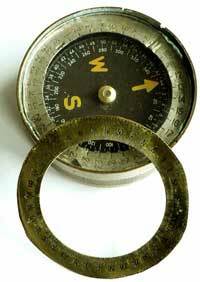 He also built (after WWII) a model identical to one of the standard German soldiers' compasses, with and without mirror. 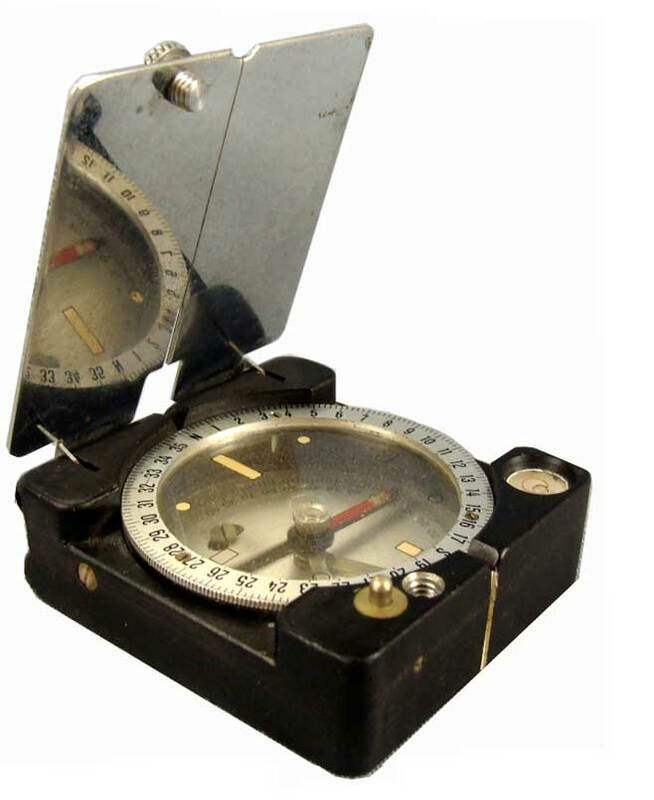 He eventually produced but in very small quantities a light-weight compass called 206 S, similar to the famous British Mark III prismatic compasses. 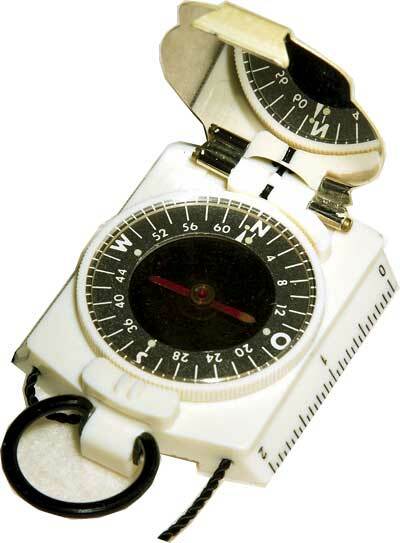 Simple marching compass without mirror lid (mod. no. 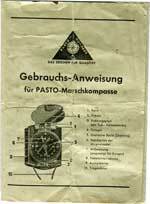 1 in PASTO's catalogue) identical to BUSCH's model created in the 1930's. 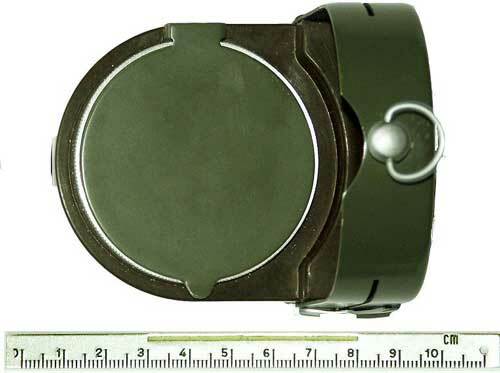 Same casing but with KÜHRT's index ring. 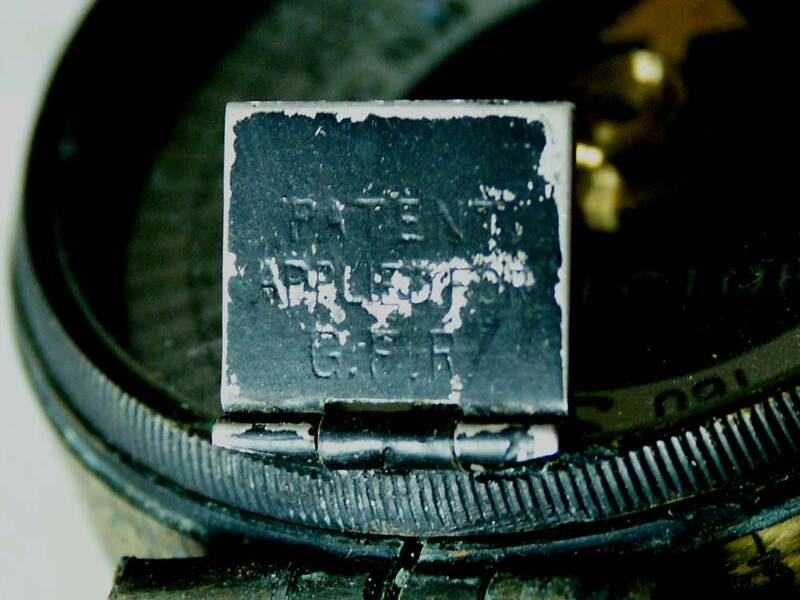 It existed also with a white index ring and two divisions (see also below, image on box), probably added after KÜHRT was taken over by PASTO. 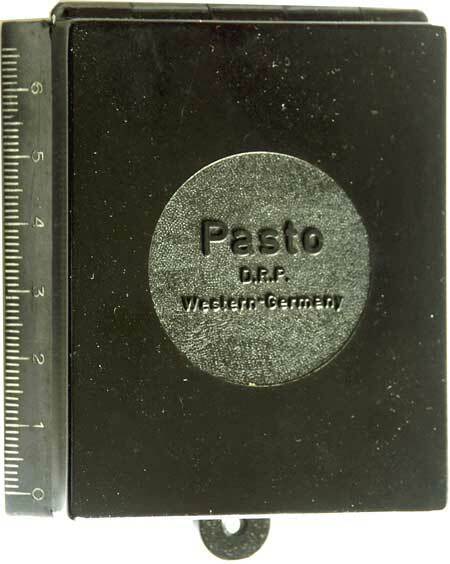 The maker's signature (PASTO Germany) and the fact that it has two different rulers (decimal and imperial) indicate clearly that this is a post WW II product. Moreover, the position of the magnetic declination luminous marker (5° W) is consistent with the 1950's. Model no. 5, but made of plastic with mirror, lumiscent paint and thumb ring. It was available in black or cream colour. 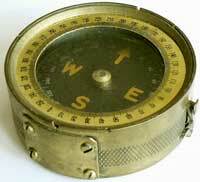 The same lid/cover form appears also on the later C. Stockert compass models. Theses models were called no. 11 and 12 with fluid damping. 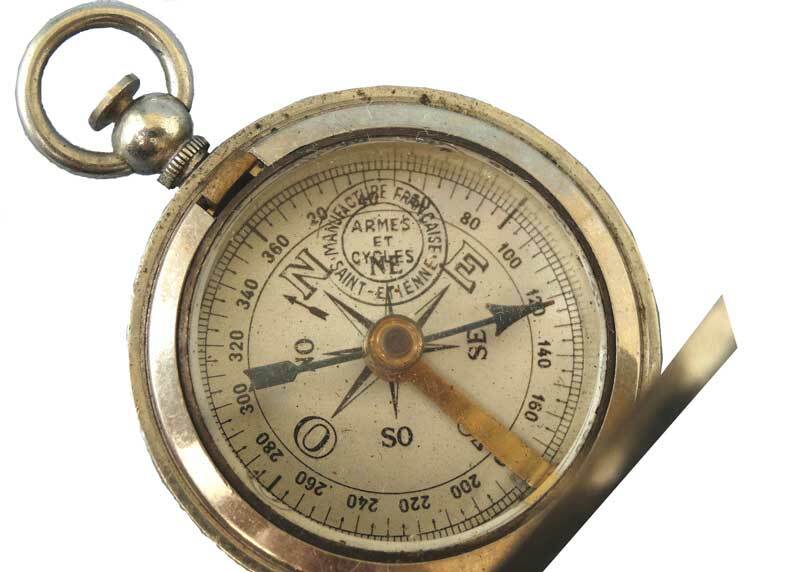 Fluid - Light-weight imitation of the famous British marching compasses (see BARKER). 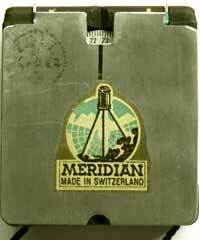 PASTO supplied the compass cards to MERIDIAN for the early version of its model MK-2002. 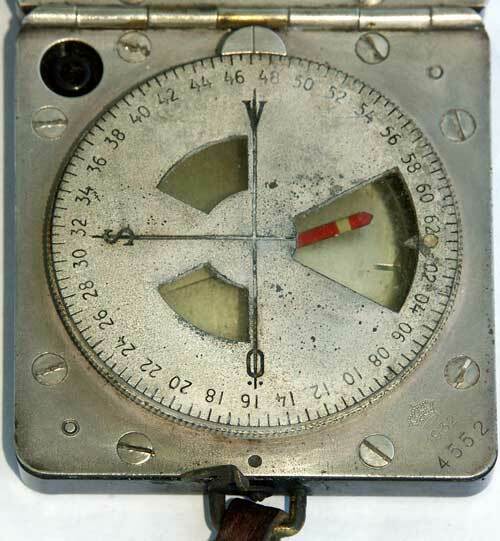 It was a common feature of the leather cases to have a tab with a button hole to attach the compass at one of the uniform buttons. - The marching direction arrow could be set through the crystal by means of a small knob like on LUFFT's and BUSCH's pocket compasses. 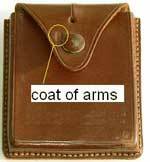 - Leather pouch with button hole tab like the one fisplayed above but with black finish. 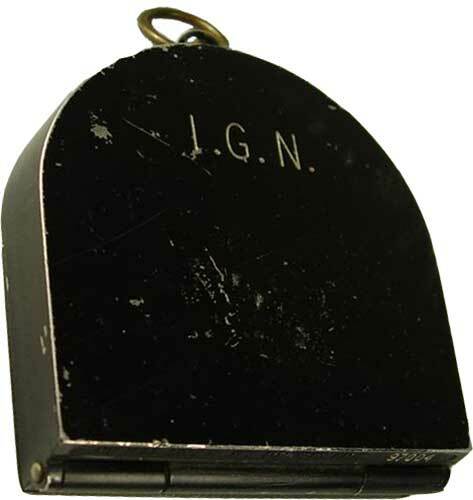 Export version (USA): box-shaped casing. 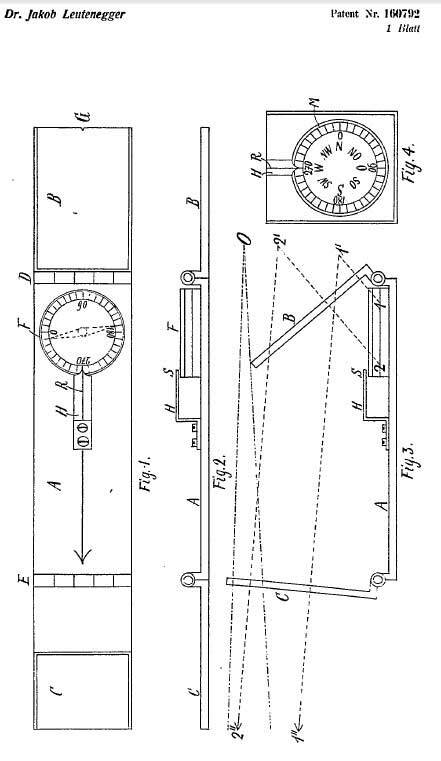 Compare with WILKIE's version with hinged hanging mirror. User instr. in English available. 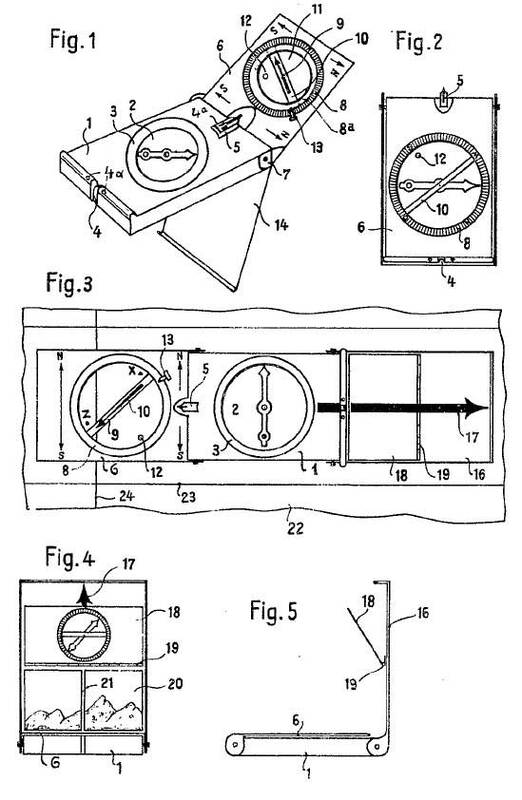 In Nov. 1972 Paul Stockert designed a system featuring an internal lighting. 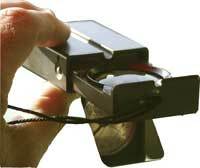 WILKIE produced it in 1973 with several improvements (follow the link for compl. descr. and more pics). The brightness can be adjusted by means of a wheel located on the side (compare to the model signed Eschenbach). 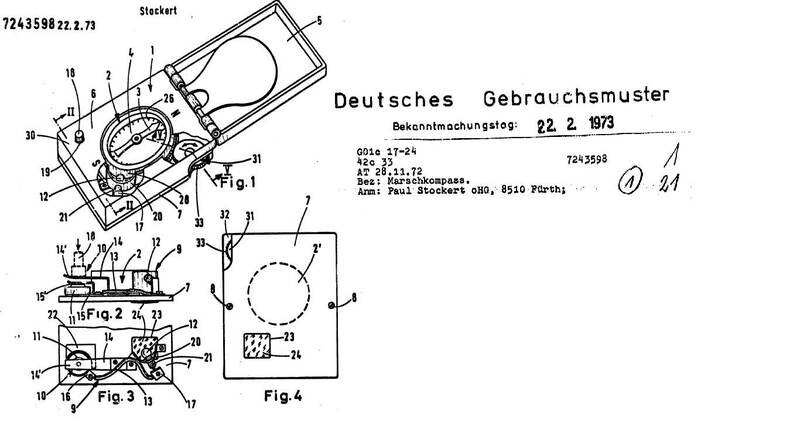 Drawing below: The design registering document (DBGM 7243598) issued to Paul Stockert in March 1973. PROFILE - Emil Perman was an inventor living apparently in Stockholm. 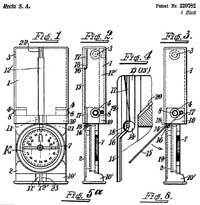 He filed in 1914 in imperial Germany a patent (no. 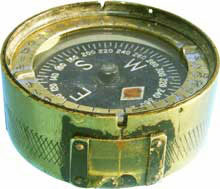 304765, link to page 1) for a marching compass featuring a mirror hinged below a transparent casing. 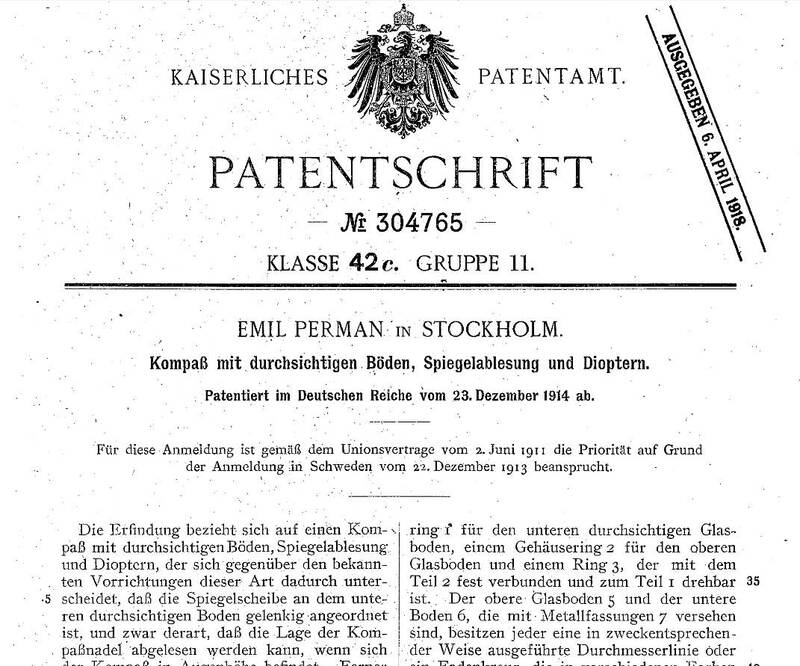 However, the patent was publisehd only after the end of the First World War in 1918 ! The principle was later re-used by several makers like WILKIE. 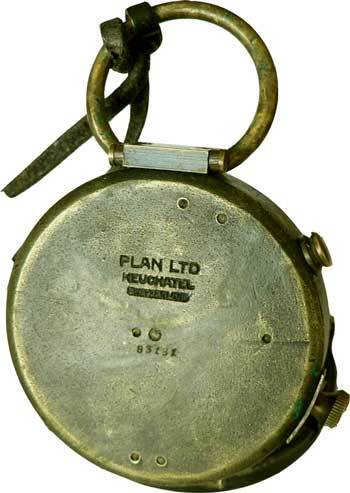 PROFILE - PLAN Ltd was a Swiss company. 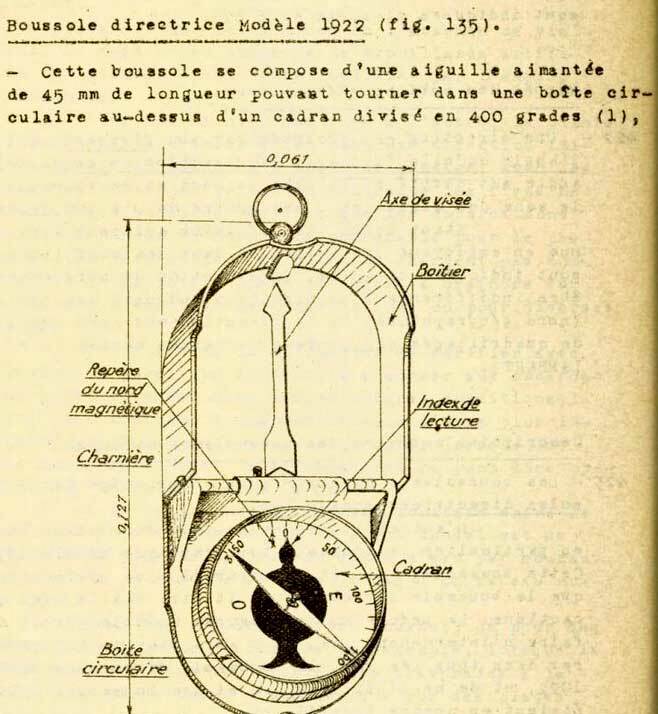 The manufacturer was propably the renowned watch and clock maker David Perret fils (PLAN watches) located in Neuchatel's Plan quarter (there is a street named "rue du Plan"). 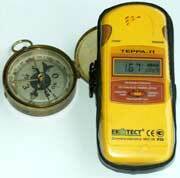 The company was founded in 1854. David died in 1908 but the firm continued with his son. 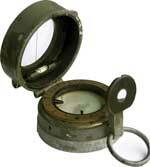 Probably already before WWI, PLAN built the following marching compass (maybe) for the Swiss Army. It has a double graduation featuring twice the scale 0-32 (i.e. 6400 mils altogether). 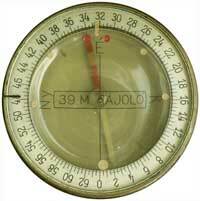 This can also be observed on the older BÜCHI artillery level called Sitometer. PLAN Ltd also built mirror compasses for the U.S. armed forces during WWI (see also Cruchons & Emons and Argentina's Army). 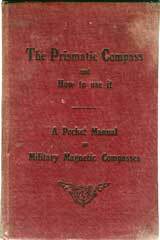 A version without military markings is known. It features cardinal points in German language (O = Ost = east) but no radium-compound luminous paint (link to picture). 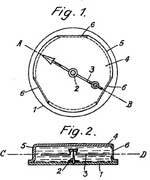 The patent was filed by the Swiss clock maker LONGINES but only at the end of WW1 (August 1918). Compare with the Abercrombie & Fitch (A & F) version. 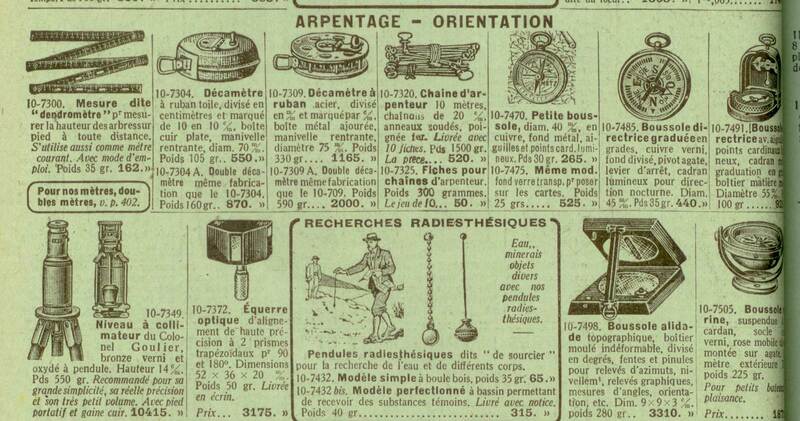 This item was called Position Finding Compass in a flyer (see pic below, at right) and Sighting compass in an ad (for picture go to Cruchon & Emons). 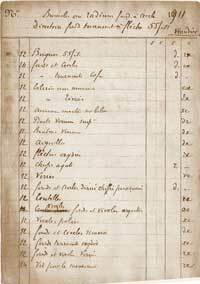 All documents available in fac-simile quality in the shop. 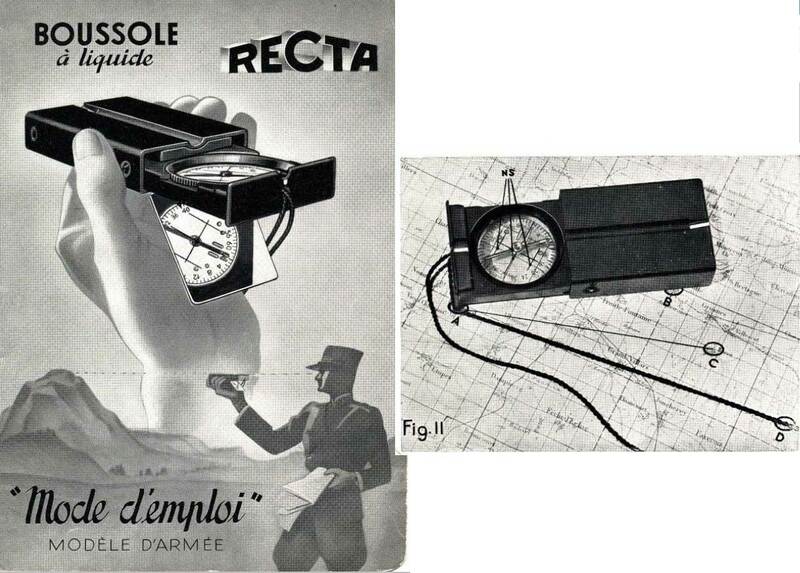 Square protractor - c. 1935 ? - For maps with scale 1/100,000. PROFILE - Polish version of the Russian Red Army's model AK. 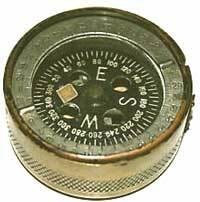 - The central white bar is located on the N-S axis whereas it was located on the E-W axis on the WWII German compasses (see also FPM). The prismatic compass was first invented by Henry Kater in 1811 and improved one year later by C. A. Schmalcalder. One of the first and most famous prismatic compasses was a compass type called Verner's pattern. 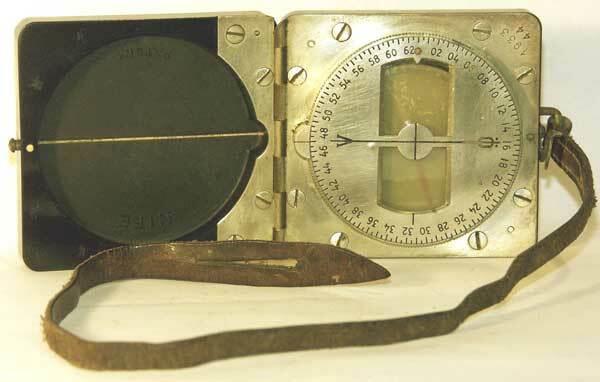 Another famous system is the one patented by Captn Creagh-Osborne featuring a large prism located on the opposite side of the dial, allowing the reading of the instrument when held in the hand or attached to the wrist at about 1 or 1-1/2 ft from the eye. 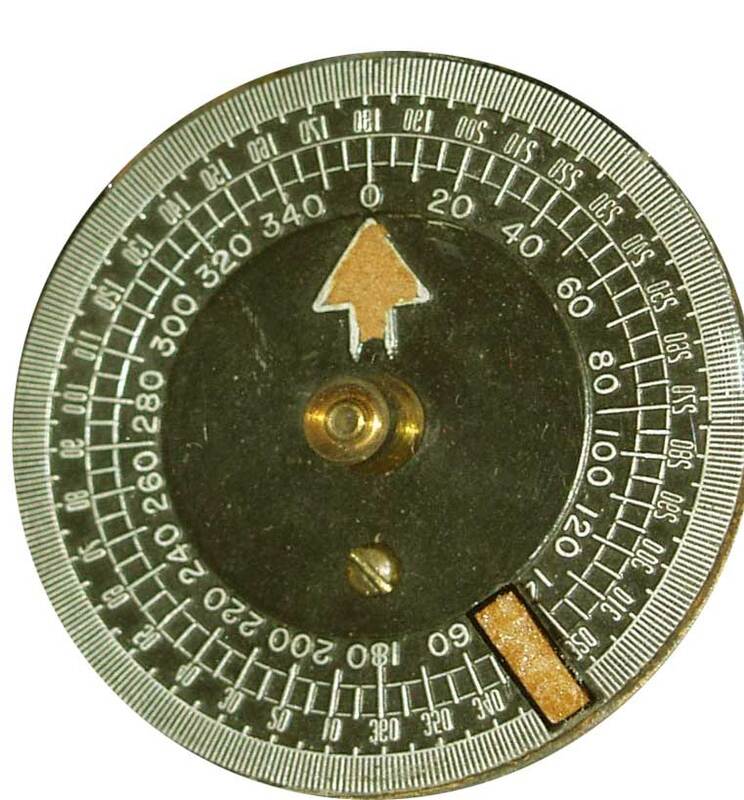 Prismatic compasses usually have like the mirror compasses a double row of divisions on their card: one is printed in normal figures so that angle values can be read with the naked eye directly from above. 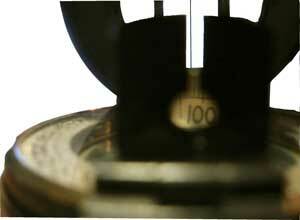 The other one is printed inverted and can be read with much higher precision through the optical prism. 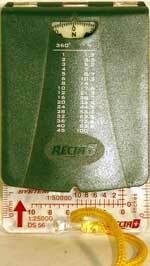 The very thin sighting line seen above the magnified card's rim gives a precision of at least one third of a degree. 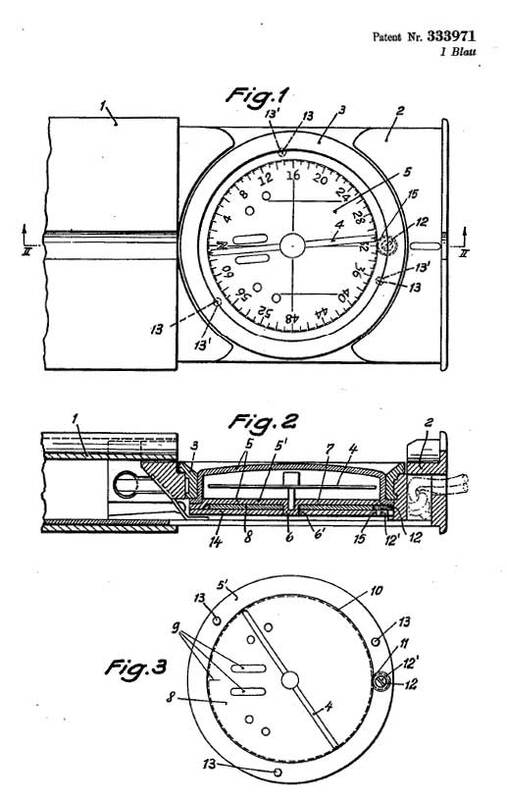 "A check-spring plunger is fitted on the left side of the box near the hinge for the purpose of checking the oscillations of the dial when observing." 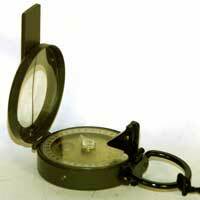 - at the angular values of the compass card through an optical device that can be adapted to the user's view. 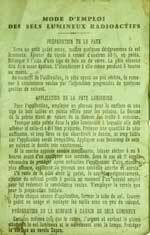 (Click for enlarged views - Photocopies of the French original or the English translation are available in our SHOP). 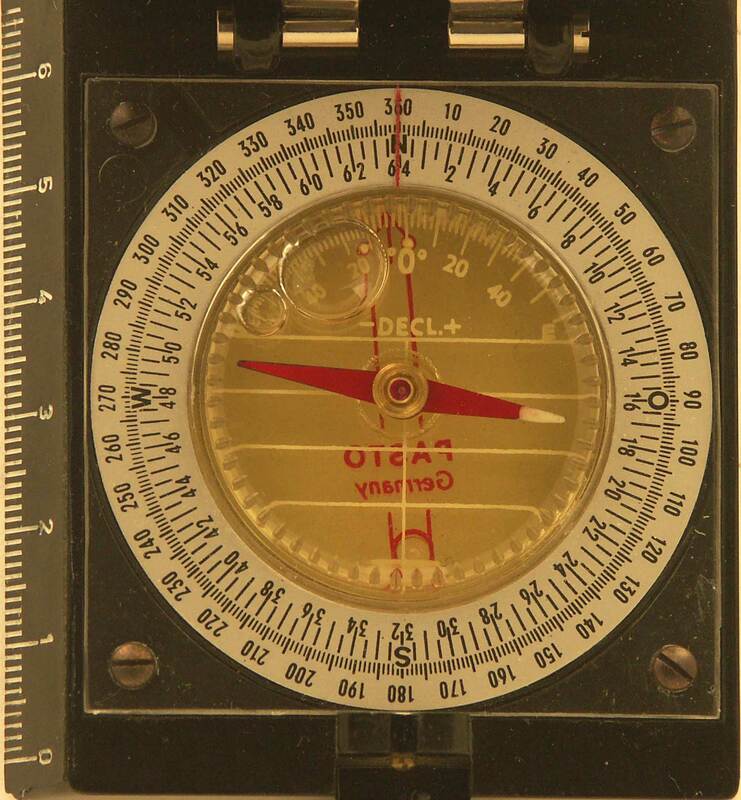 This compass is a G150 model originally made by Stanley. 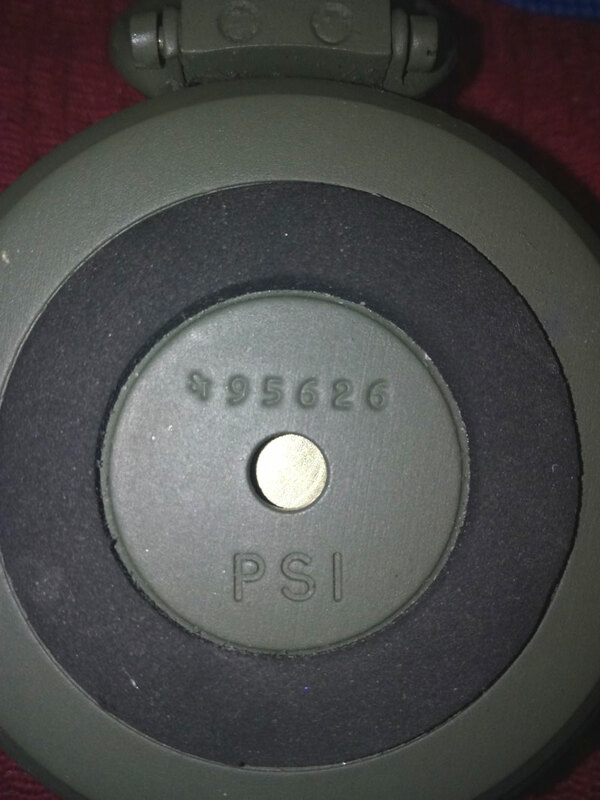 It was delivered together with a different Nato Stock Number than the Barker Models (follow the links to view pictures). 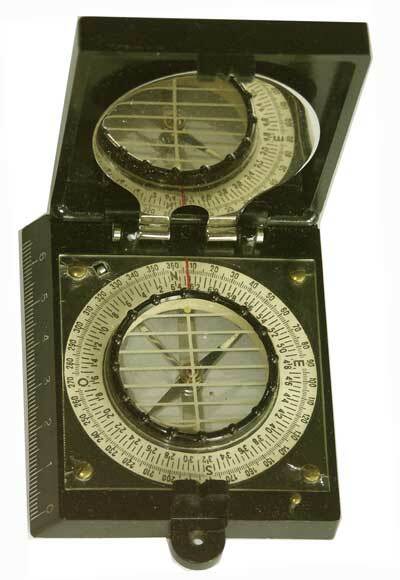 This compass resembles the famous Modèle 1922 (see above) but it is integrated in a wooden box and bears the words "RADIO MILRE" (militaire). 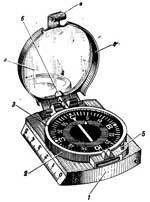 We suppose that it was used to orientate a directional radio emitter or receiver. 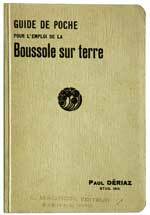 Although unsigned, the typical engraving shows that it was manufactured by Houlliot in the 1930's. 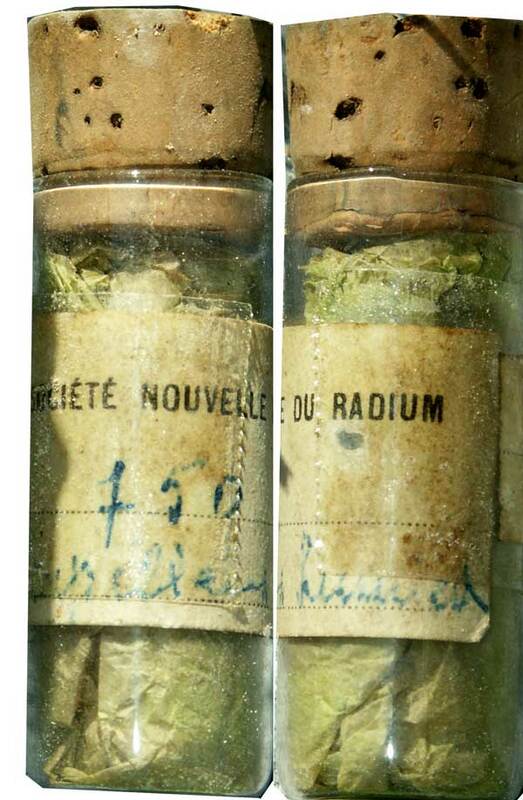 The French company Société Nouvelle du Radium was created in 1907 by Jacques DANNE (who was an assistant in the laboratoire Pierre CURIE and deceased in 1919). It was located in Gif-sur-Yvette (source: internet) and was the first industrial plant world-wide to supply this material. 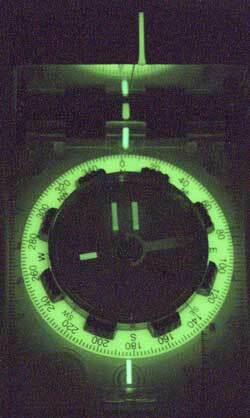 A compound* made of copper-doped zinc sulfide (ZnS+Cu) and Radium (226Ra) reacted by emitting a greenish light. 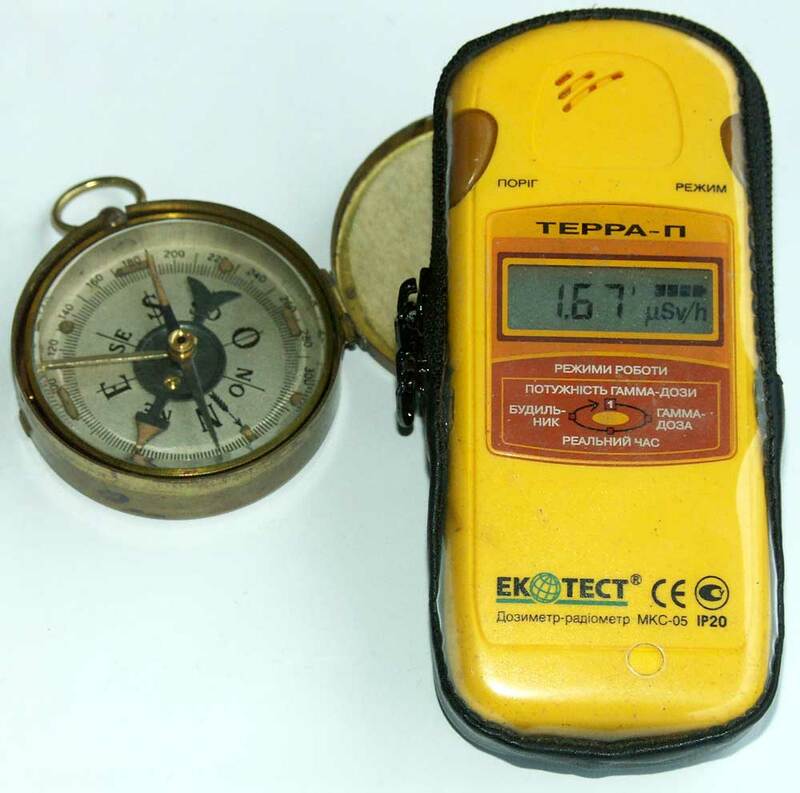 When the zinc sulfide was "burnt out" (after c.30-50 years), it turns orange (see below dial of the DOLLOND compass) but the Radium remains radioactive for many hundred years (its half-life is 1602 years). 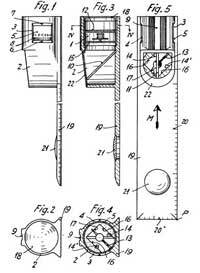 Captain Creagh-Osborne filed in 1915 a patent (no. 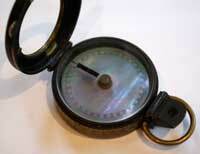 110.203, link to picture) dealing with radium-based luminous markings on compasses. 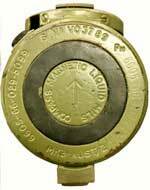 This compound was utilised for the figures and markings on aircraft instruments, watches and compasses from WWI on until the late 1950's. 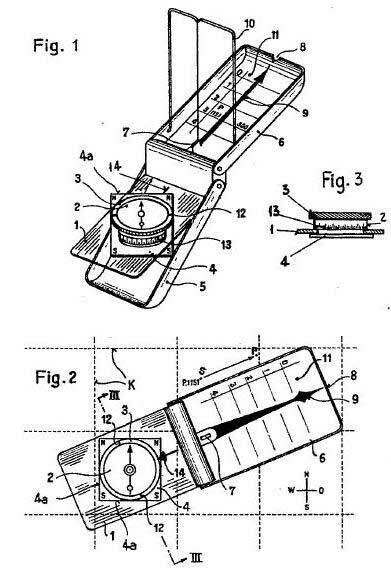 Another patent (no. 117,641, 1917, H. E. Julyan and E. C. Weilbach, link to pic.) 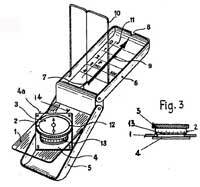 describes a solution with a single source of illumination under the floating card on which the markings are perforated. See examples below. 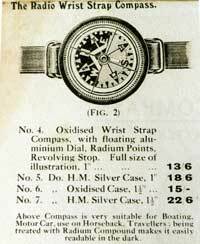 ATTENTION DANGER - HEALTH HAZARD Read in Wikipedia The radium Girls and more information on the web site Vintage Watch Straps. 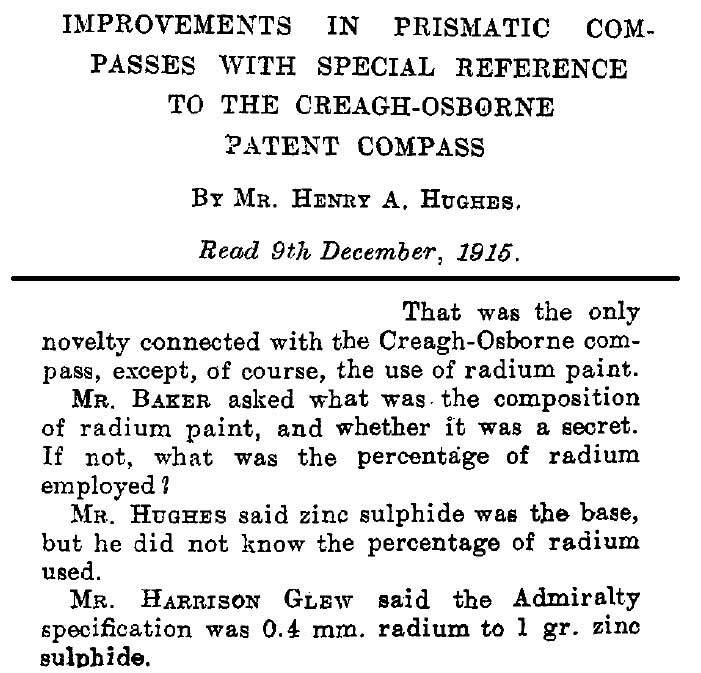 * For proportions read the minutes of a meeting held on Dec. 9, 1915 in the premises of the Admiralty's Compass Observatory, p. 43. 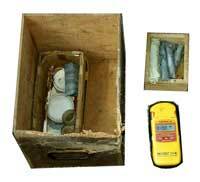 Box containing vials wrapped in lead and painting tools (brushes and pots). The dosimeter indicates a dosis of c.95µSv/hr, i.e. 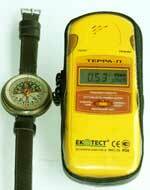 1000 times the level of natural ambiant radioactivity (0,09µSv/h). 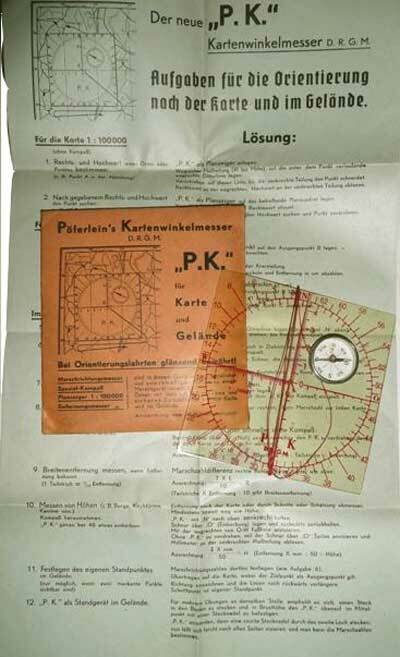 Leaflet about the German BÉZARD compasses (1913) mentioning the markings made with Radium-compound paint (in red frame) and a pic. showing the visibility in full darkness. 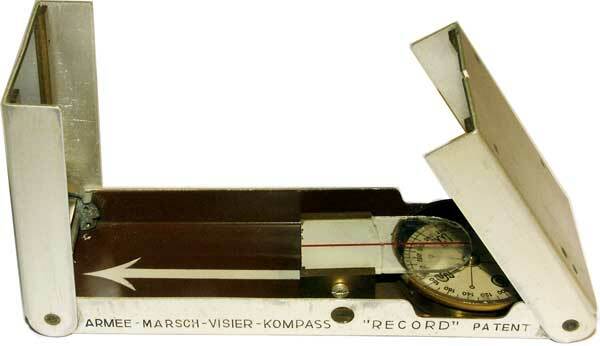 PROFILE - RECORD was a Swiss clock maker who also built in the 30's a very uncommon compass type. 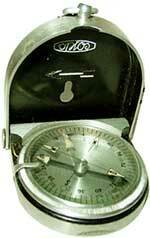 It had been designed and patented by Jakob Leutenegger (living in Basle) in 1933 (no. 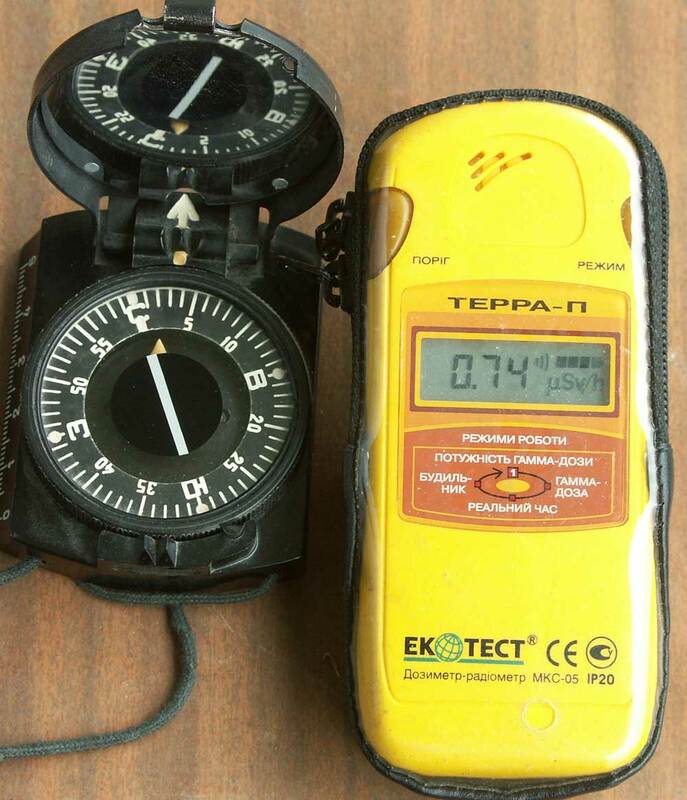 CH-160.792). 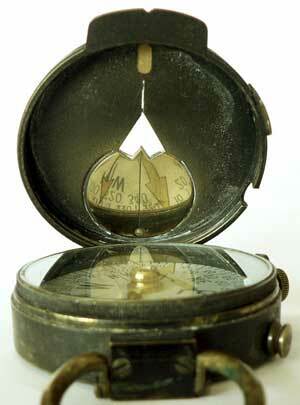 The two opposite mirrors reflect a non inverted view of the compass rose. 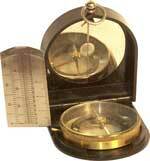 Few items were produced so it is now quite rare (for more information click HERE). 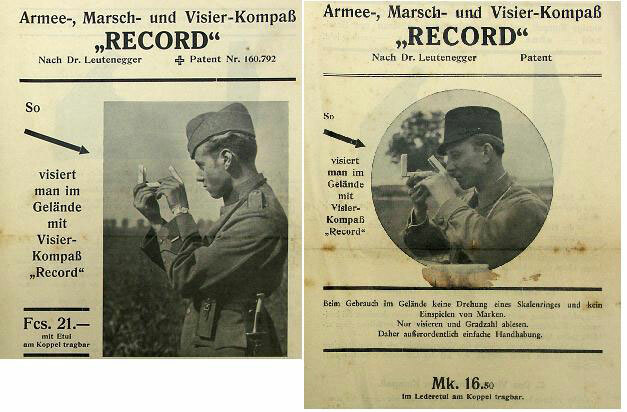 NOTE: the words "Armee-Marsch etc." (or their translation) are not engraved on the export version. - A luminous dot on the ring allowed for fixing a bearing. Cardinal points in German. Red lubber line on a glass plate over the compass rose. Both mirrors can be blocked by a notch at respectively 90° and 45°. 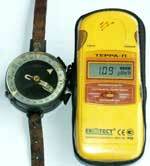 PROFILE - Former Swiss company, now subsidiary of the Finnish SUUNTO (for more information click HERE). 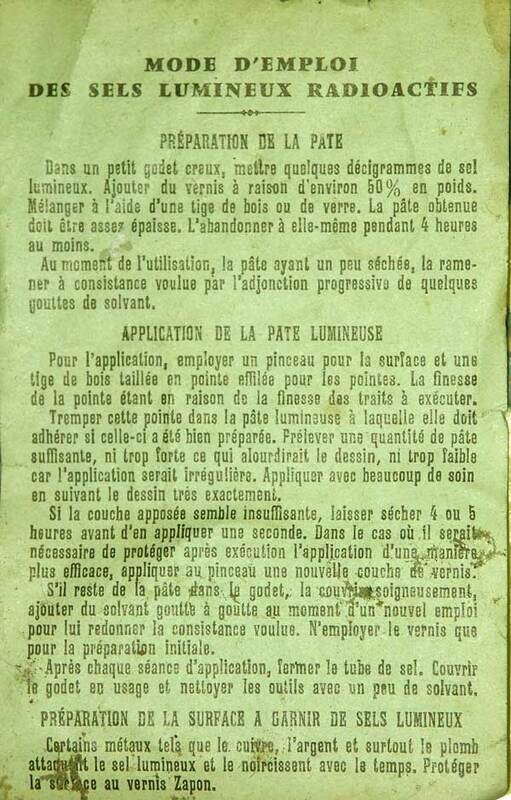 View of a flyer in French probably dating back to the 1950's: click HERE. 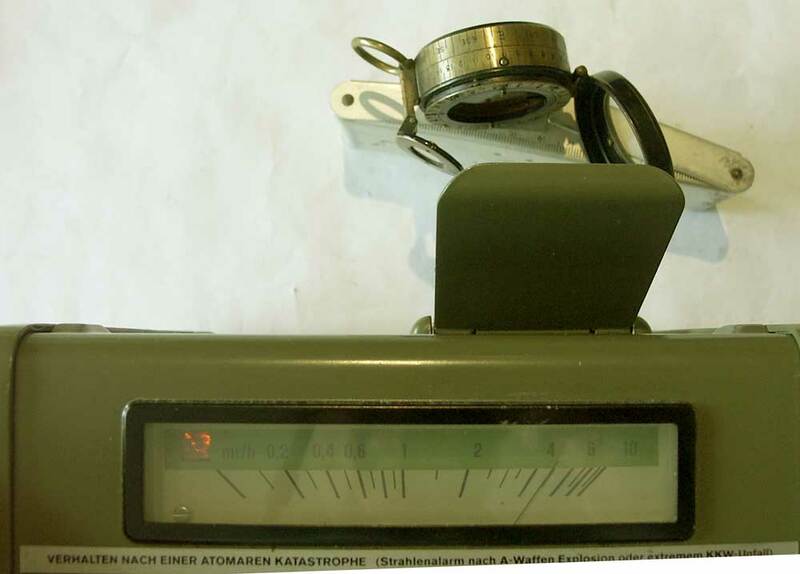 This basic model was followed by the model DP5 used by the Swiss army until 1980. 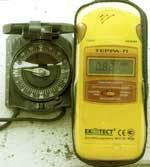 It was followed by the model DP6 which is still in use to day. Fig. 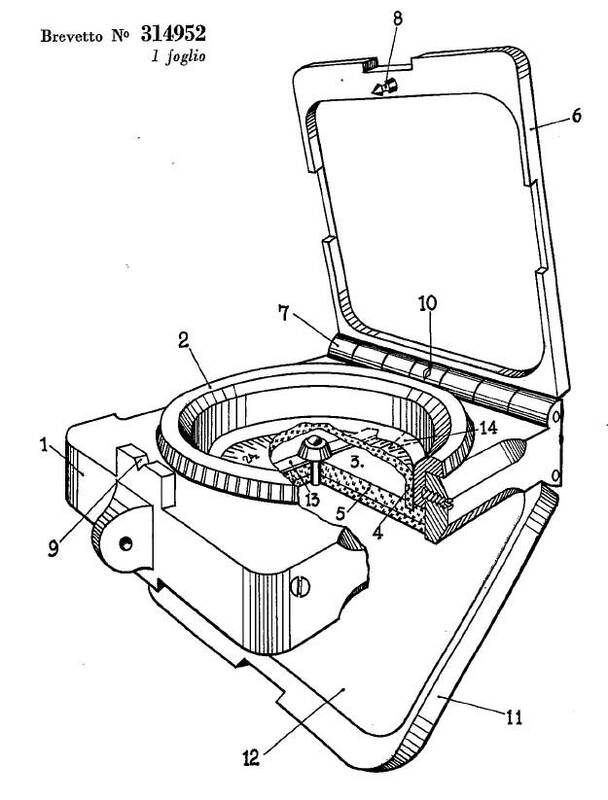 as shown in the patent filed by the inventor Eric VAUCHER. 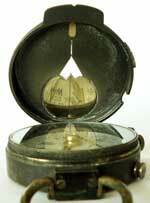 PROFILE - Compass type featuring a small hinged silver mirror located between the lid and the crystal. 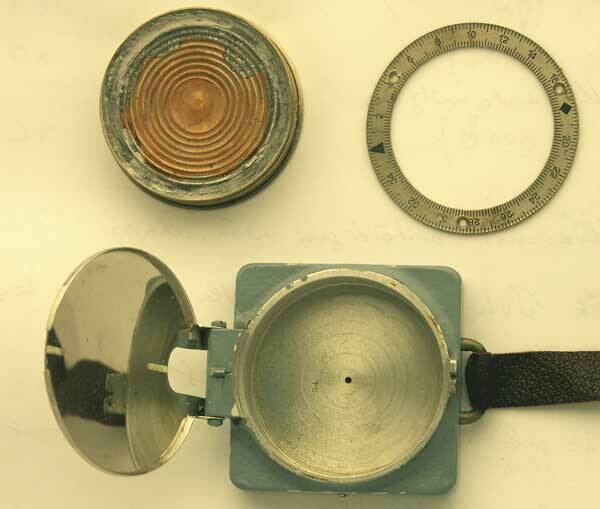 Two versions are known: a simple basic one with a casing that has many similarities with one version of the Magnapole pocket compass signed by Short & Mason (dimensions, screws for the sighting window, thumb loop, transit lock). 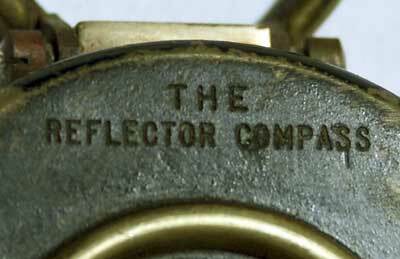 Engravings "THE REFLECTOR COMPASS" and PATENT APPLIED FOR C.F.R. where the abbrev, stands for C. F. Ryland. 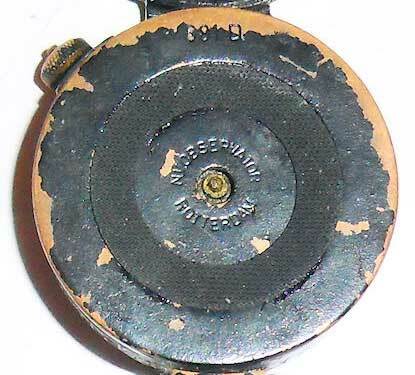 The other one features an additional rear sight, a divisions ring with luminous reference on a rotating disc (see also Creagh-Osborne) and a fluid-dampened card. 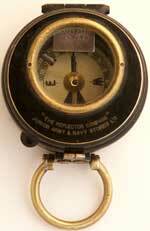 It's apparently a modified Service Pattern Liquid Prismatic Compass designed by F. Barker and Son in 1910. 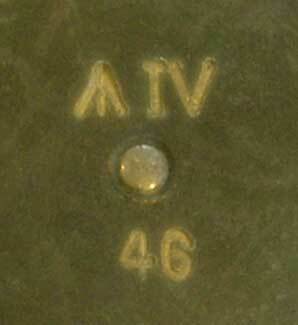 The engraving on the mirror's rear side reads 11787/15. 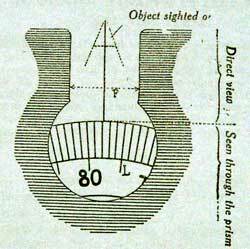 The small mirror is described in S. Lawrence's patent no. 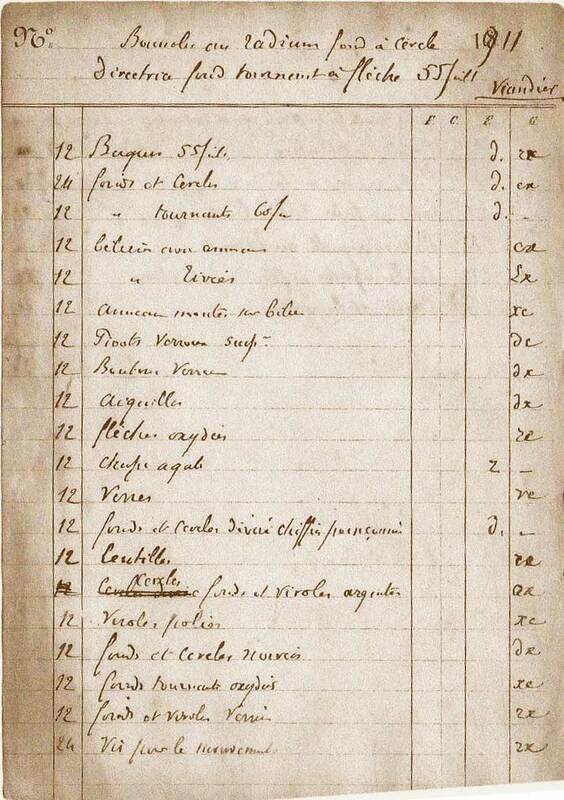 24,792 (compare with Cruchon & Emons and also PLAN Ltd). - Card design: Service pattern, Radium paint. 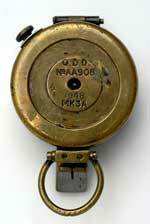 - Additional rear sight and divisions ring on top of the case rim, rotating ring with luminous marker. - On the mirror's rear face: the patent no. 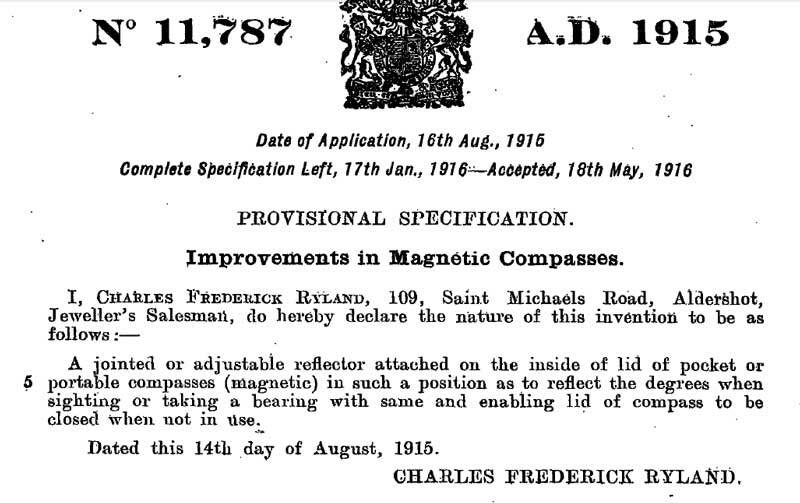 11787/15 filed by Charles Frederick RYLAND (CFR), 109, Saint Michaels Road, Aldershot, Jeweller's Salesman, (6 pages, photocopy available). 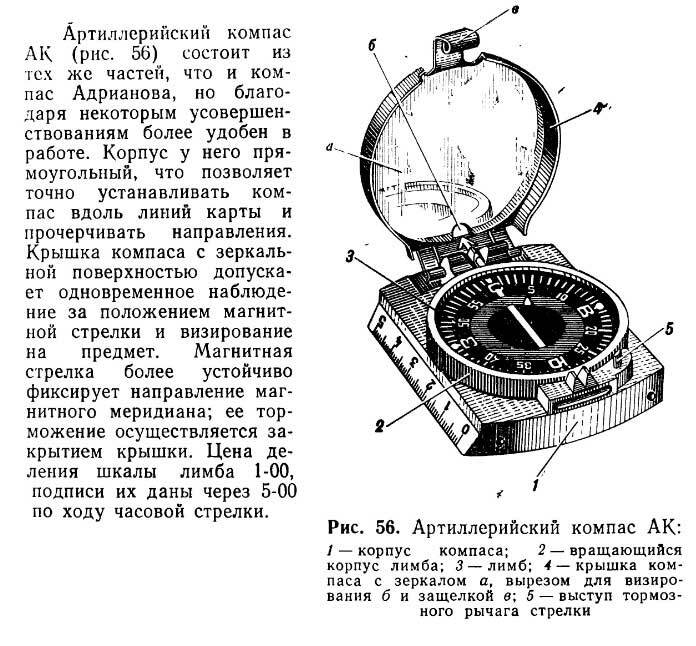 PROFILE - This instrument was designated AK (artillery compass) in the Russian Army. 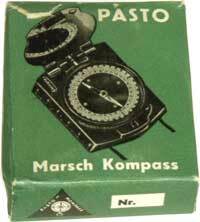 It is almost identical to the WWII German Marschkompass (MK) made among other manufacturers by Breithaupt, Busch etc. 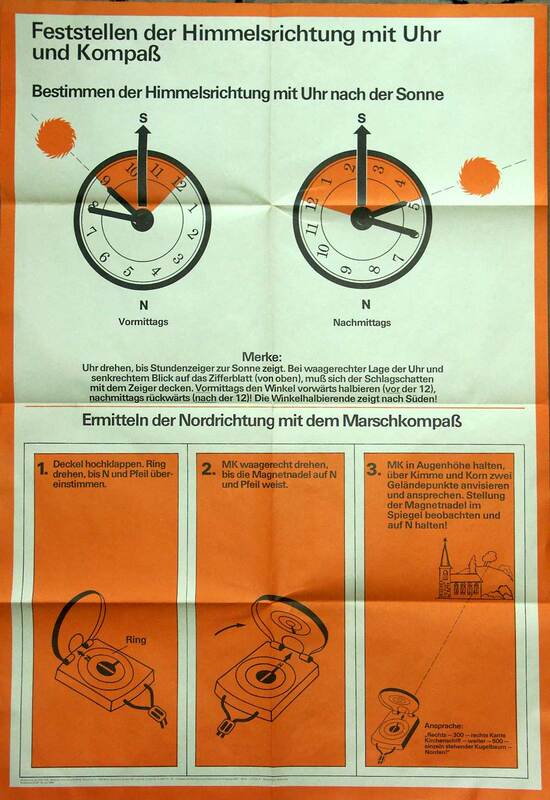 This design was probably copied after the Sovietunion had occupied East-Germany (GDR) and produced by FPM. 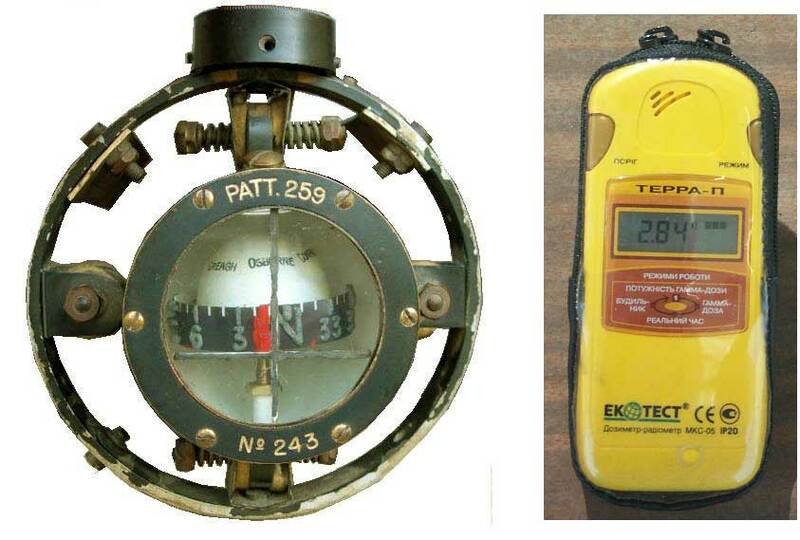 Two versions are known: a military one with 6000 Mils and a civilian one with 360 deg. divisions. 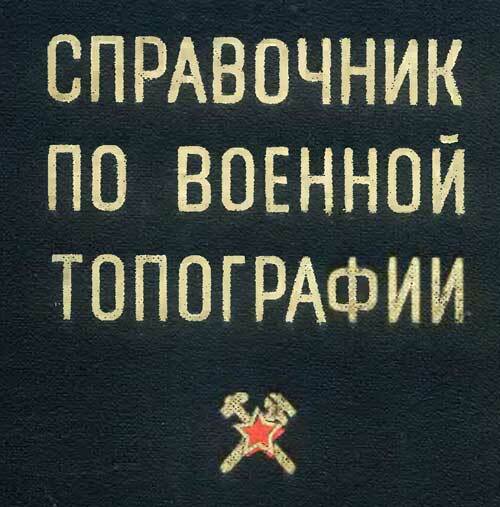 See also the Polish version (above). 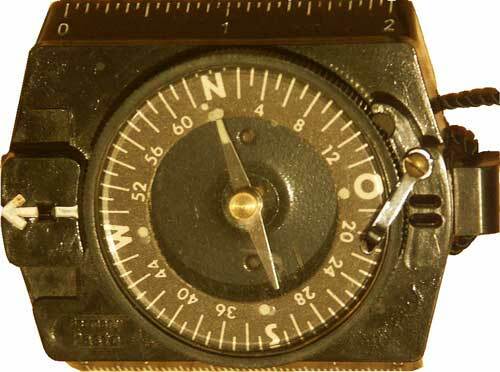 - The central white bar is located on the N-S axis whereas it is located on the E-W axis on the WWII German compasses (see also FPM).